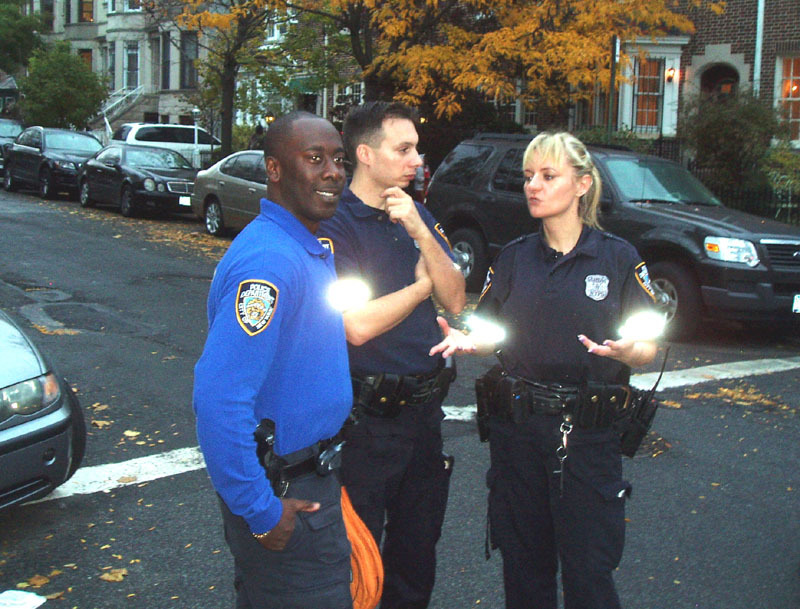 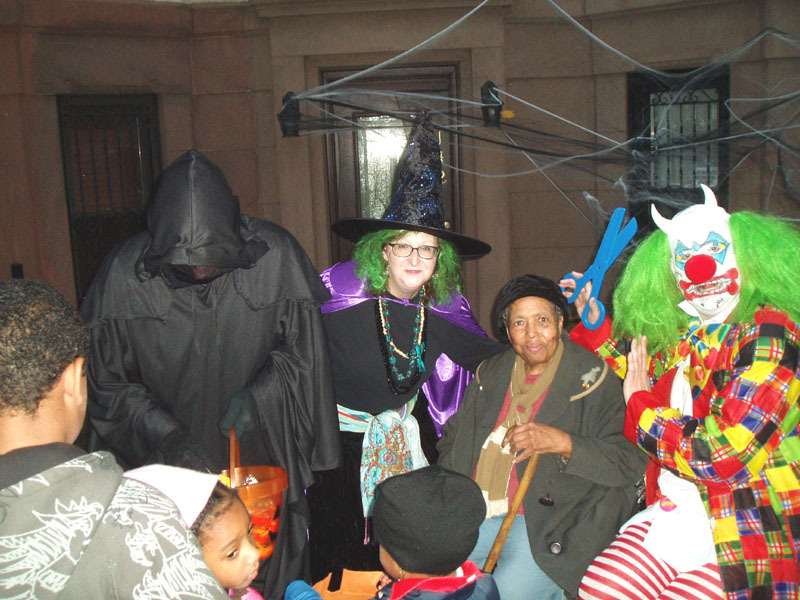 We in Lefferts Manor celebrated the 13th Annual Halloween Safe Path Walk in coordination with the 71st Precinct and the 71st Precinct Council. 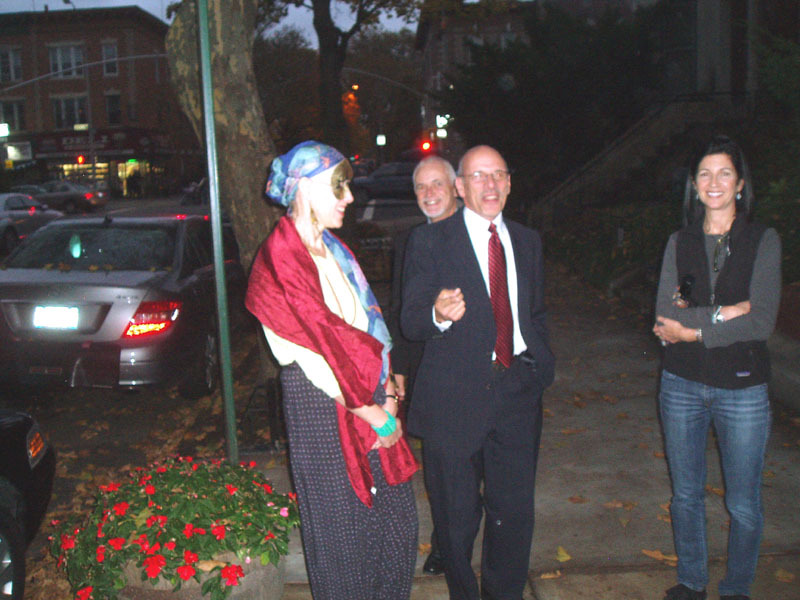 The walk begins at Rutland Road and Flatbush Avenue then through the Manor and ends at the 71st Precint where the participants are again treated. 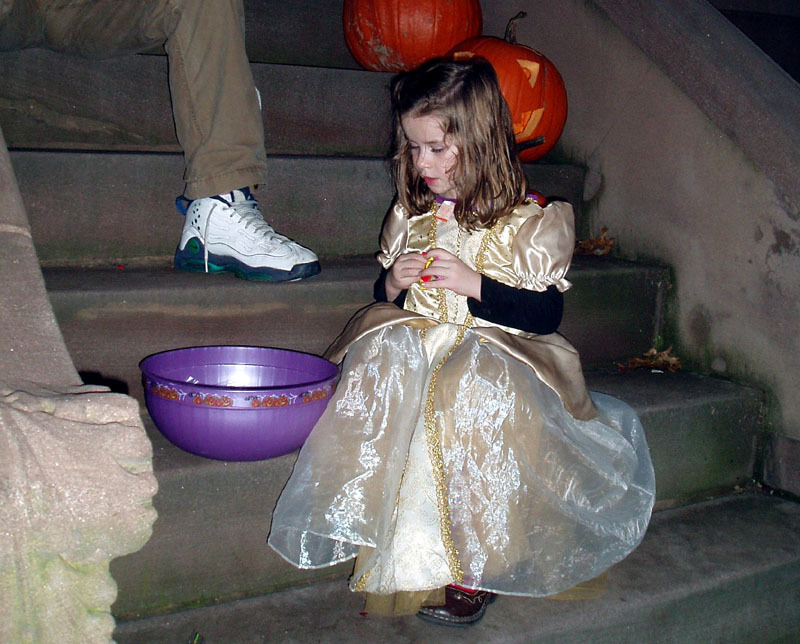 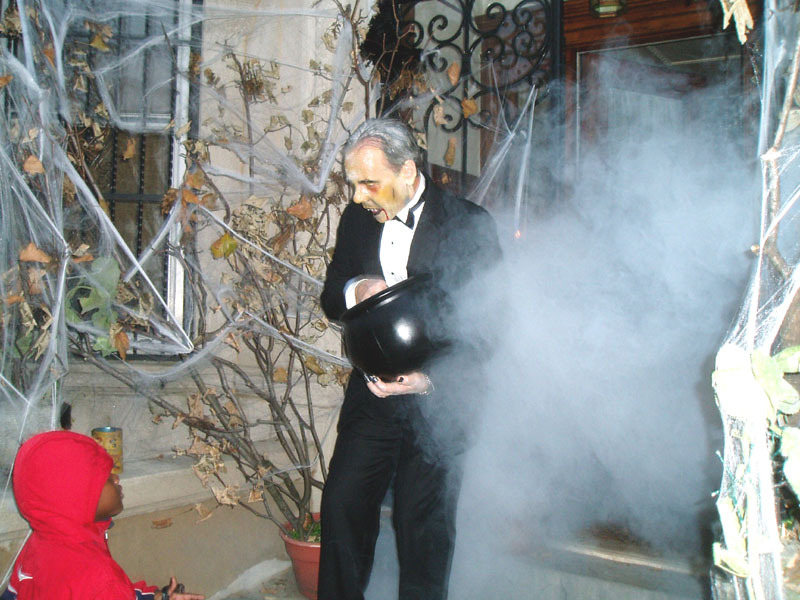 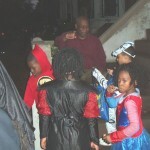 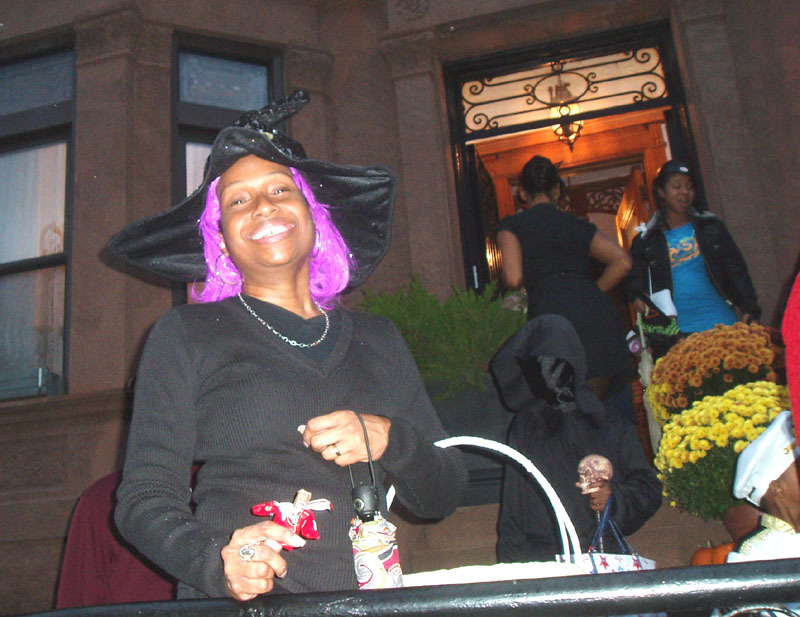 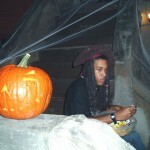 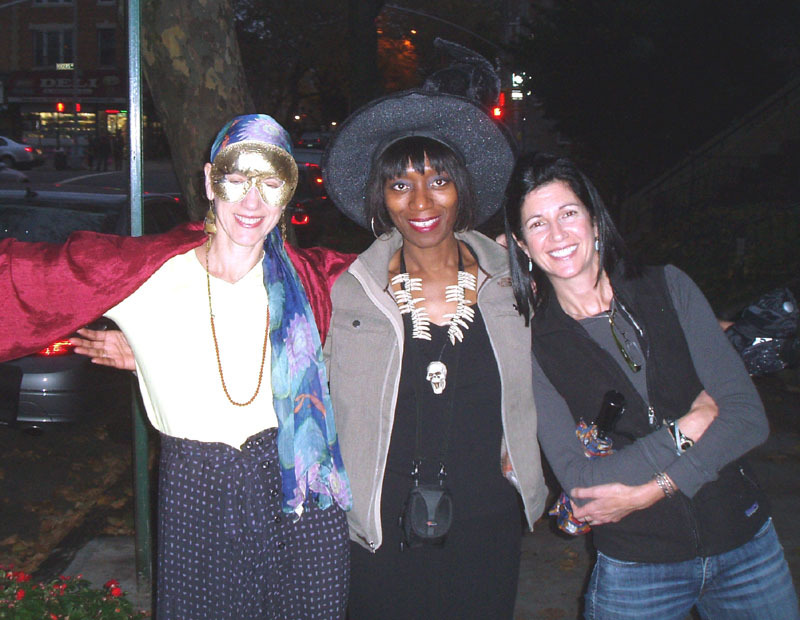 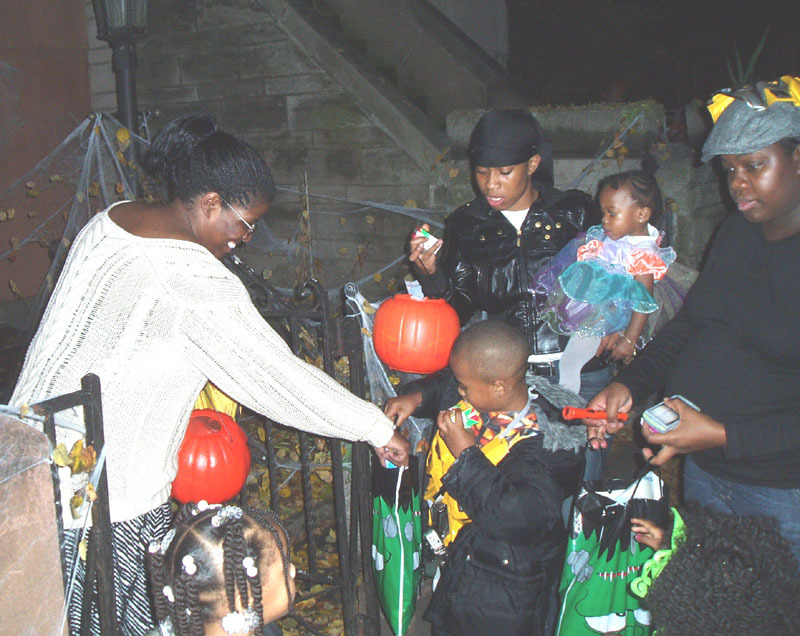 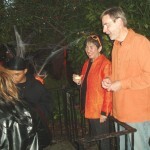 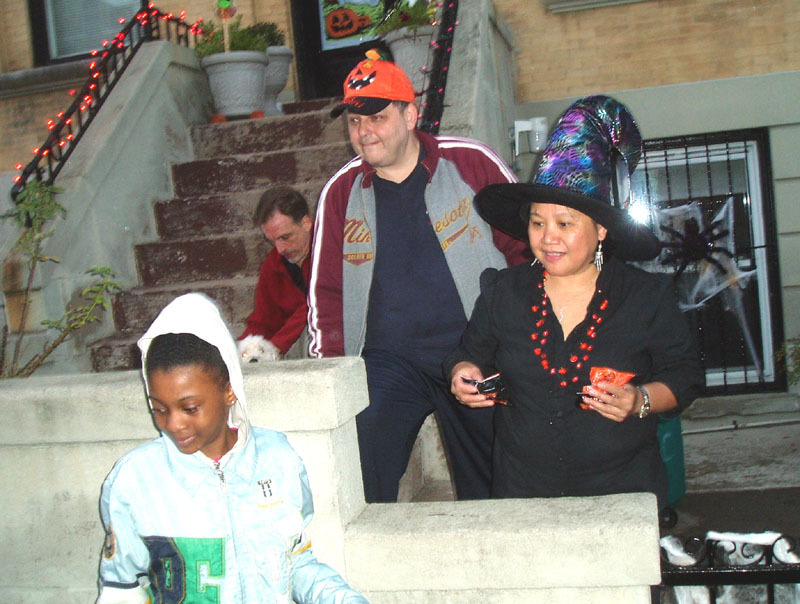 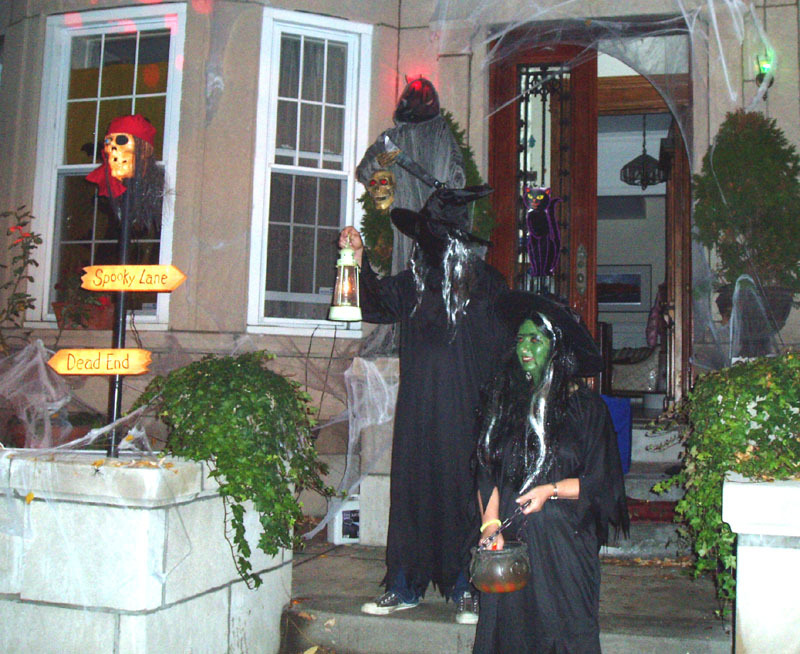 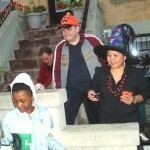 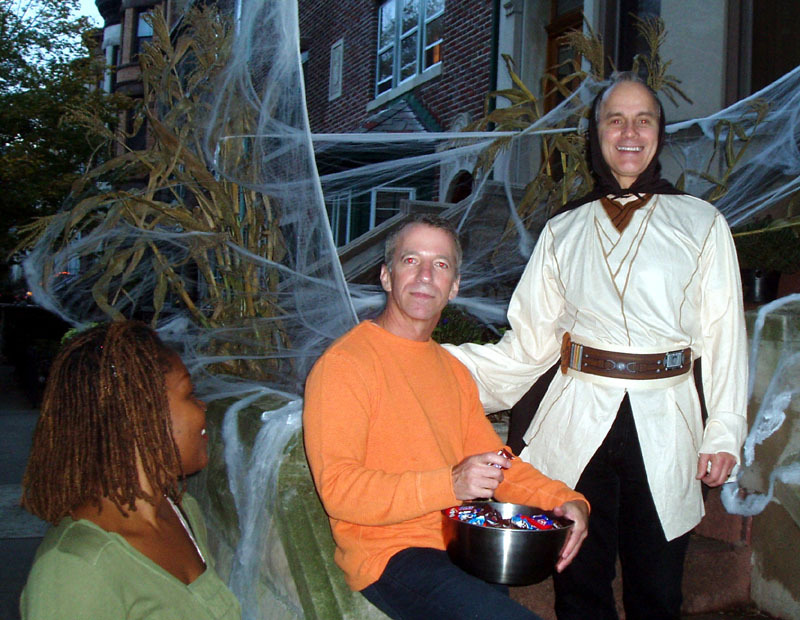 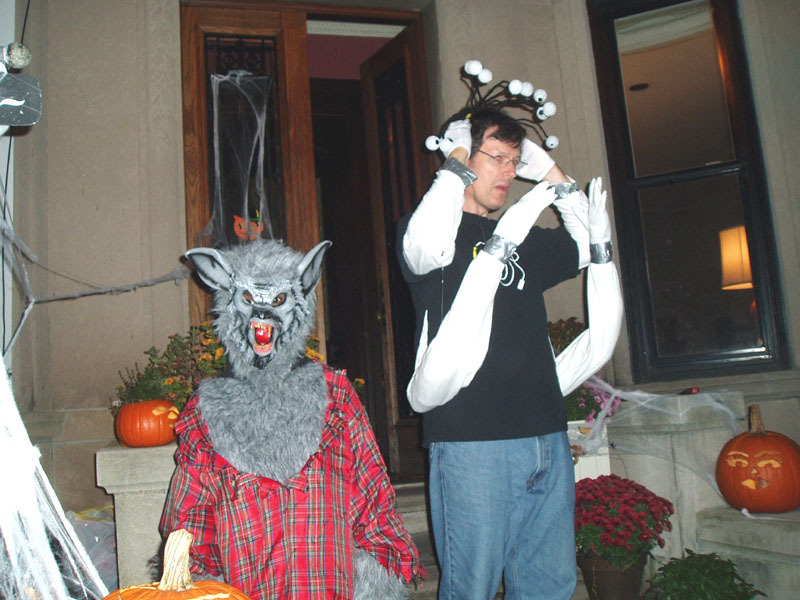 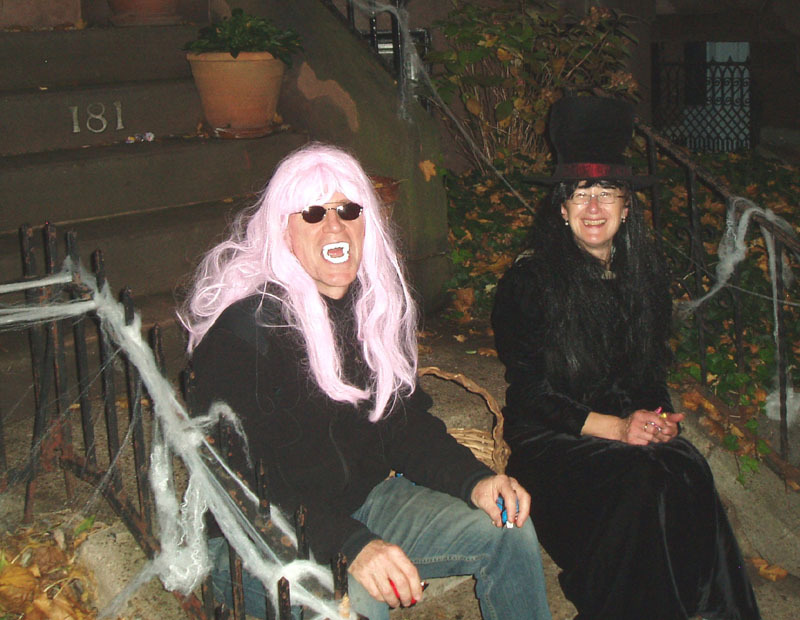 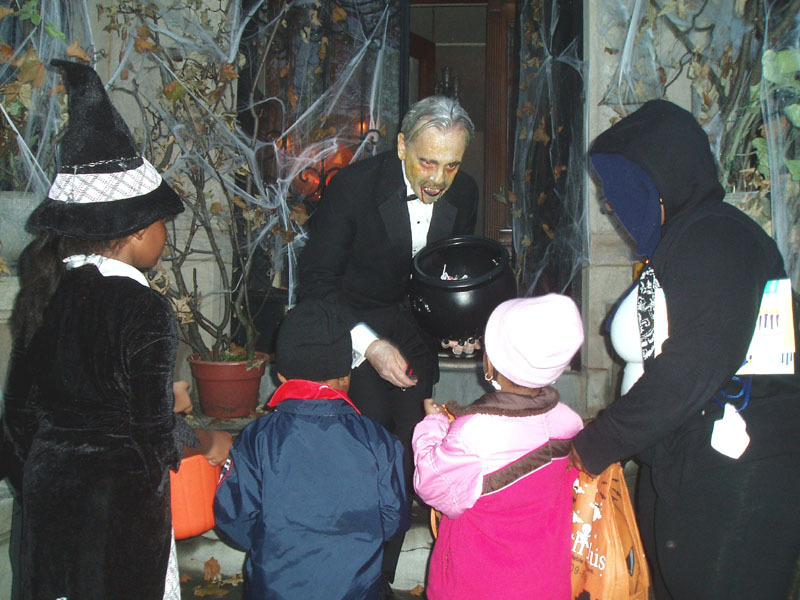 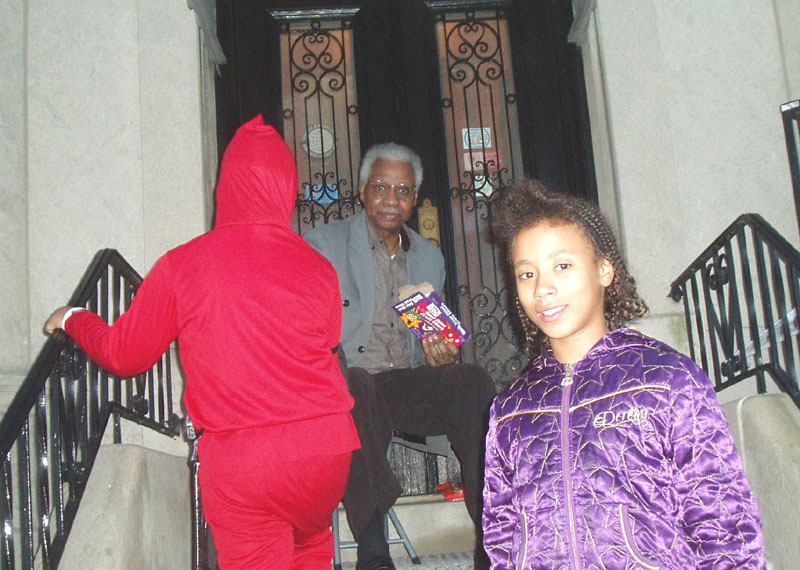 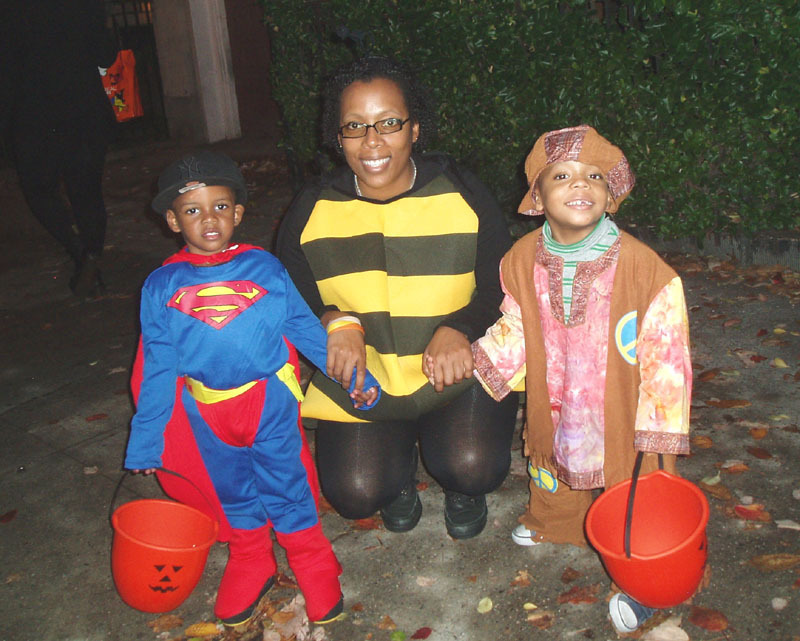 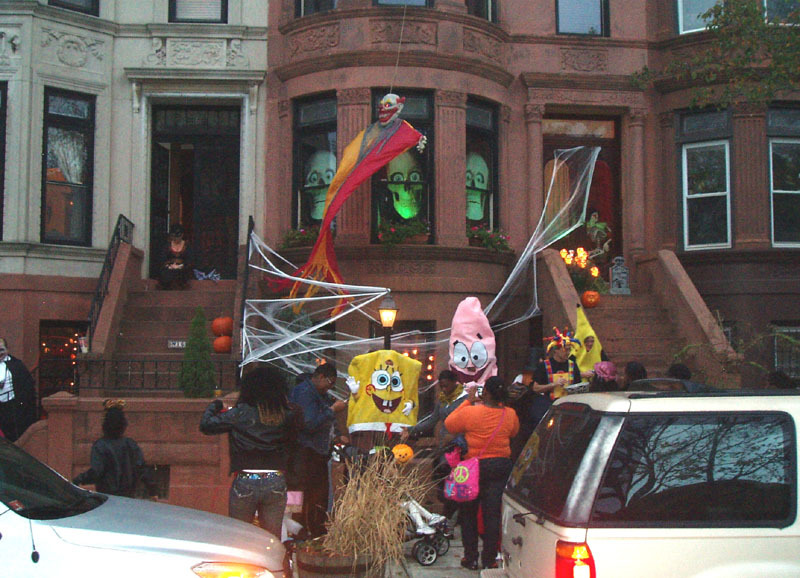 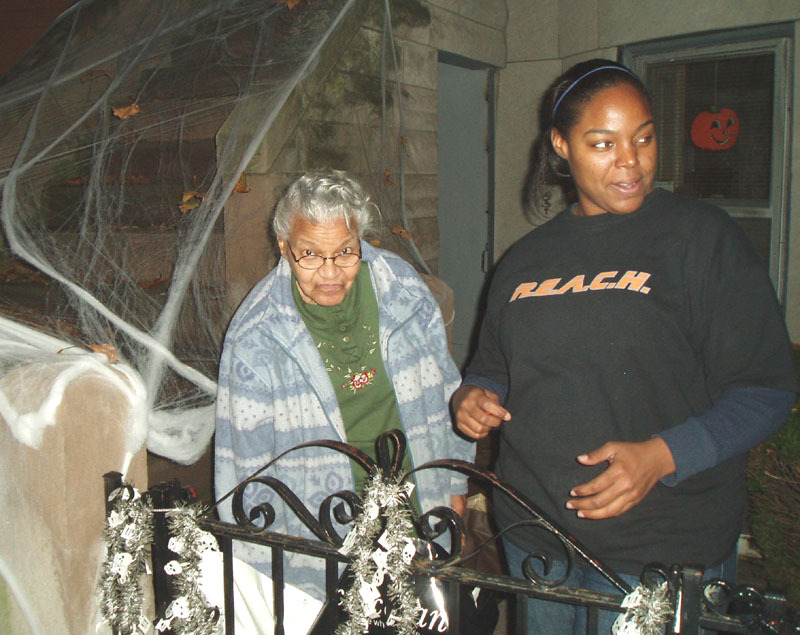 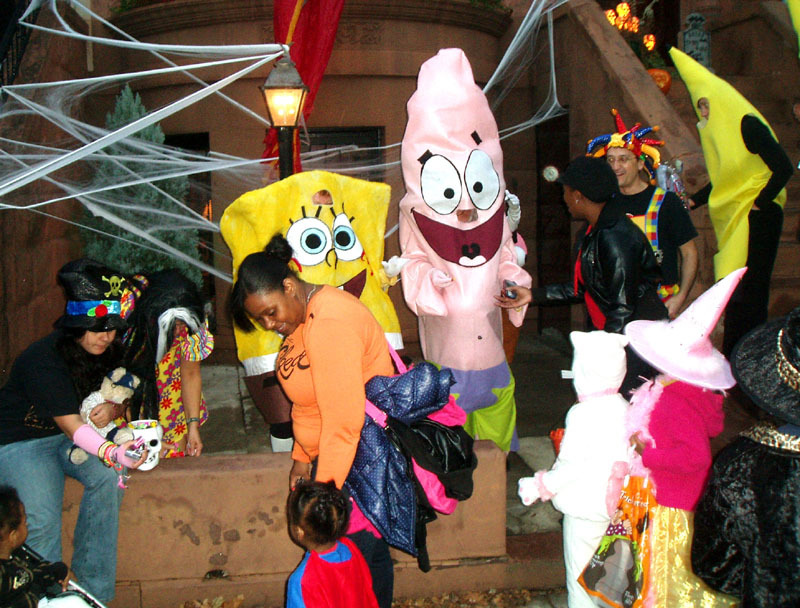 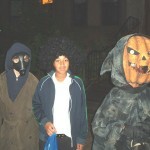 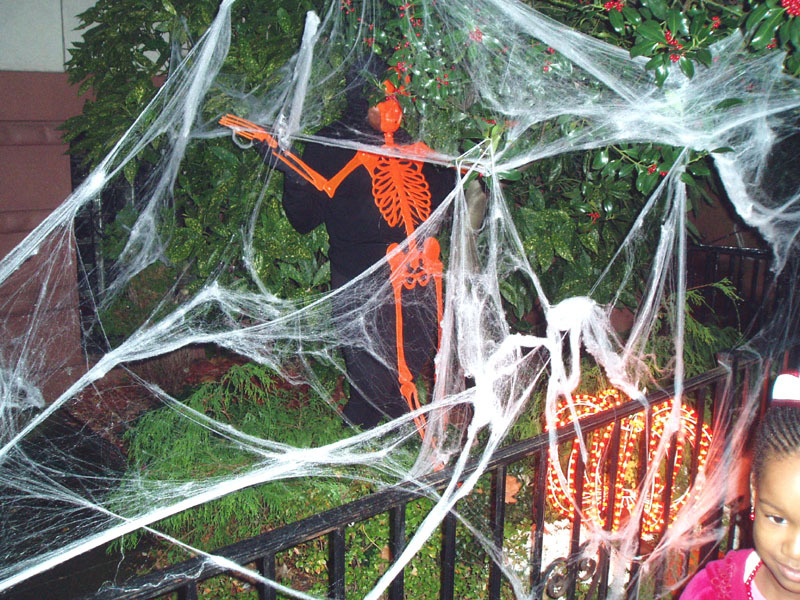 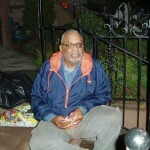 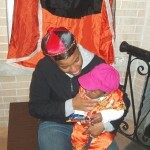 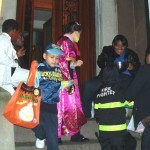 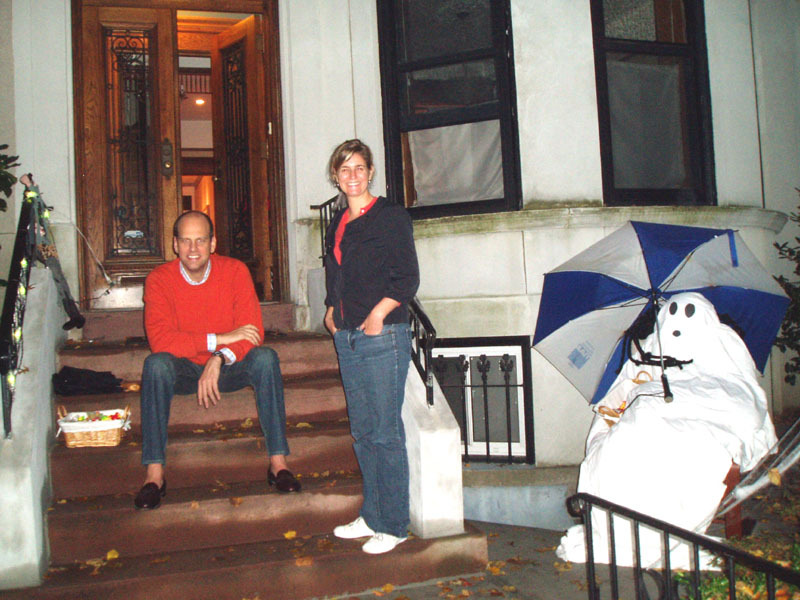 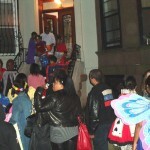 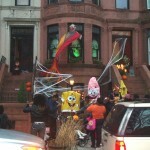 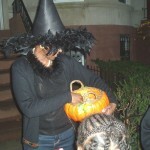 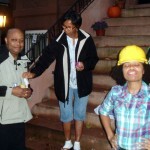 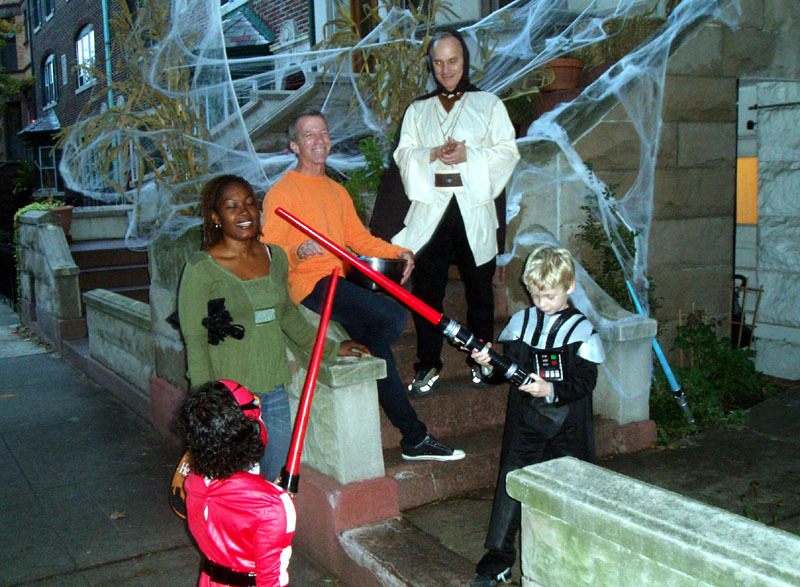 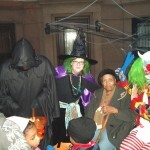 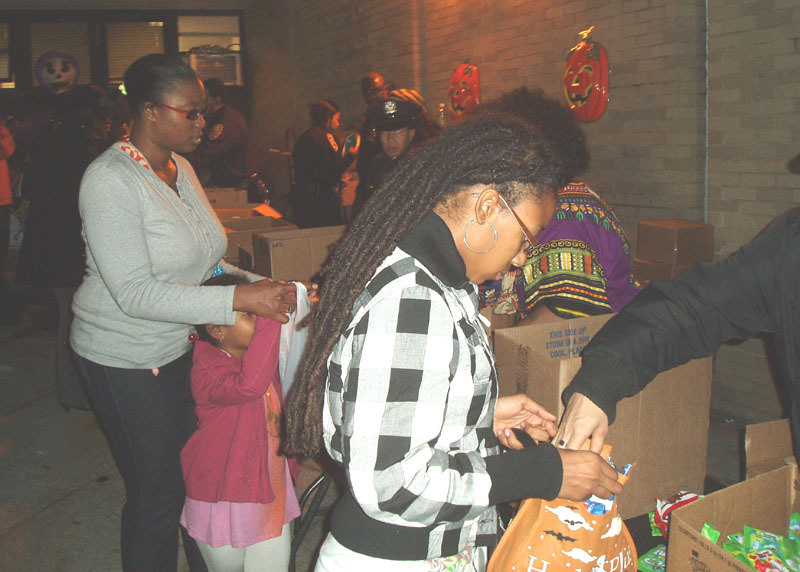 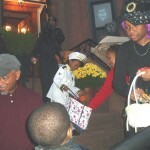 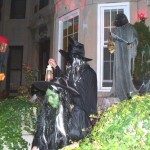 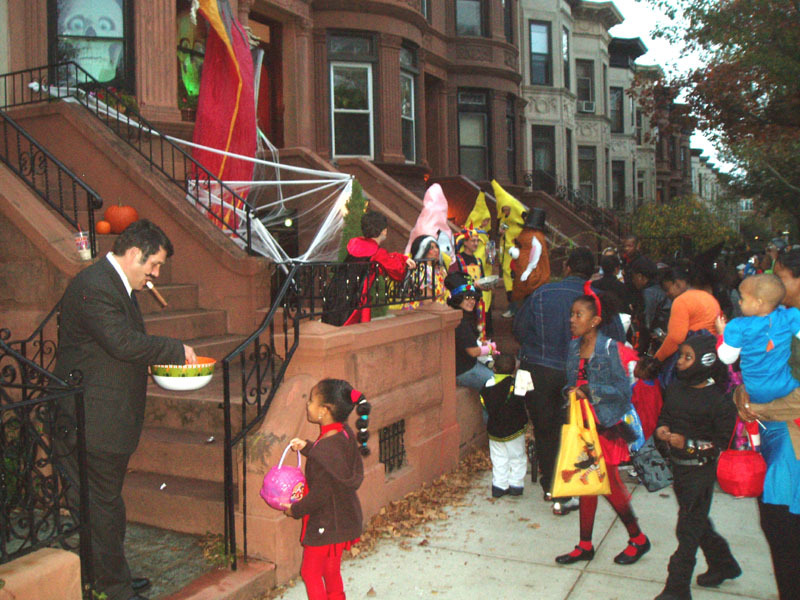 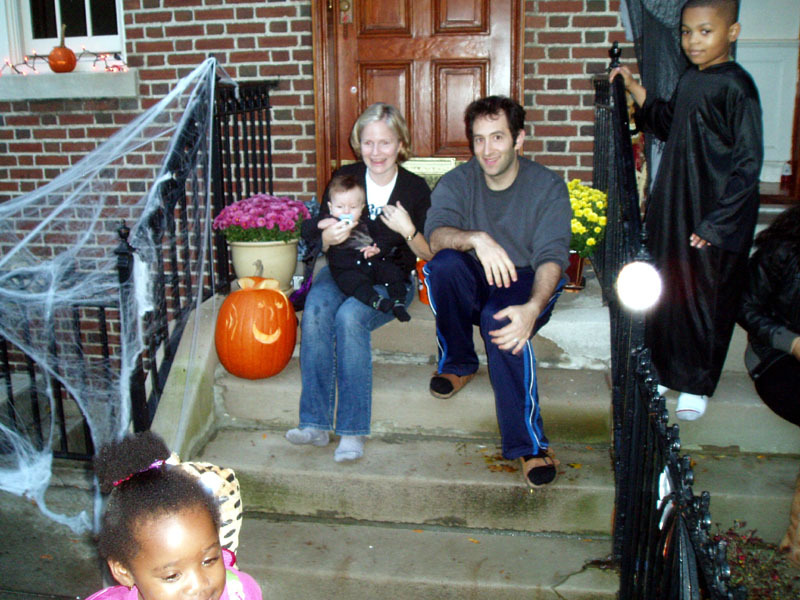 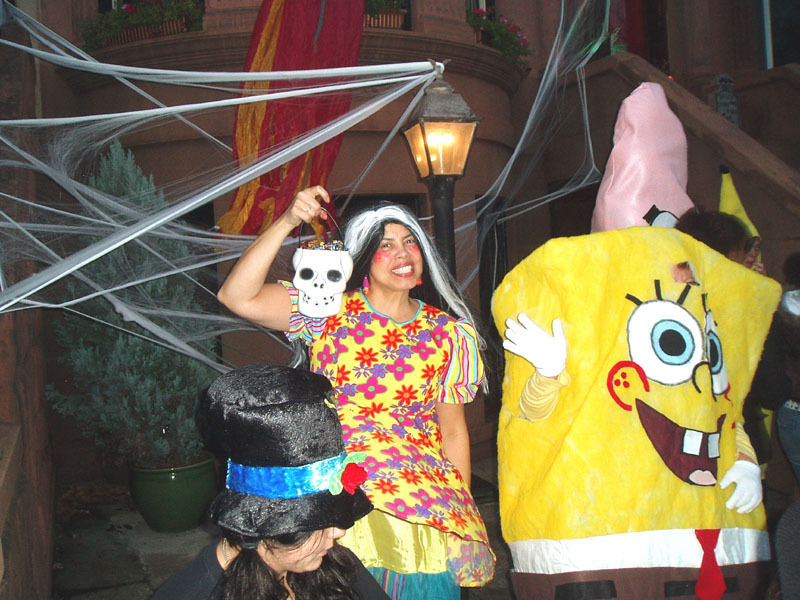 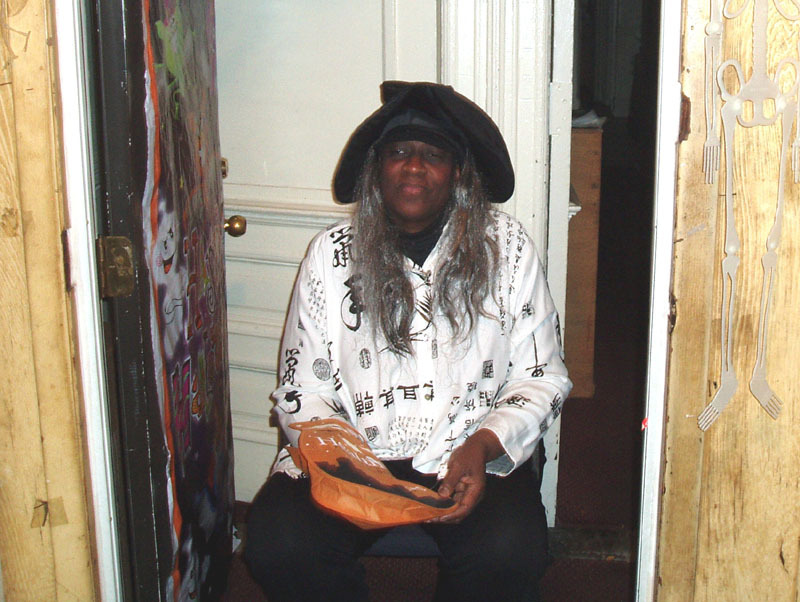 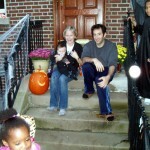 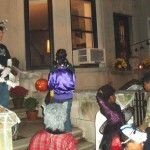 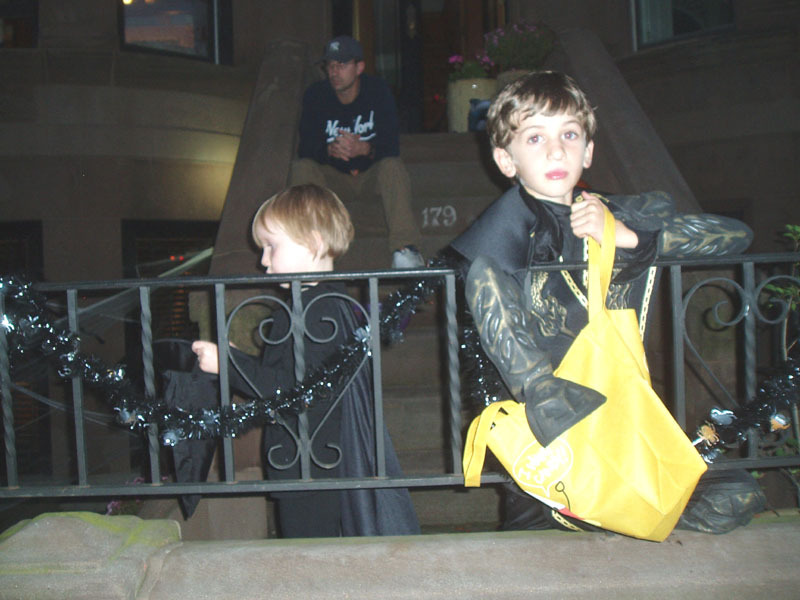 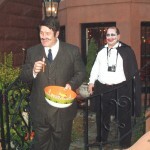 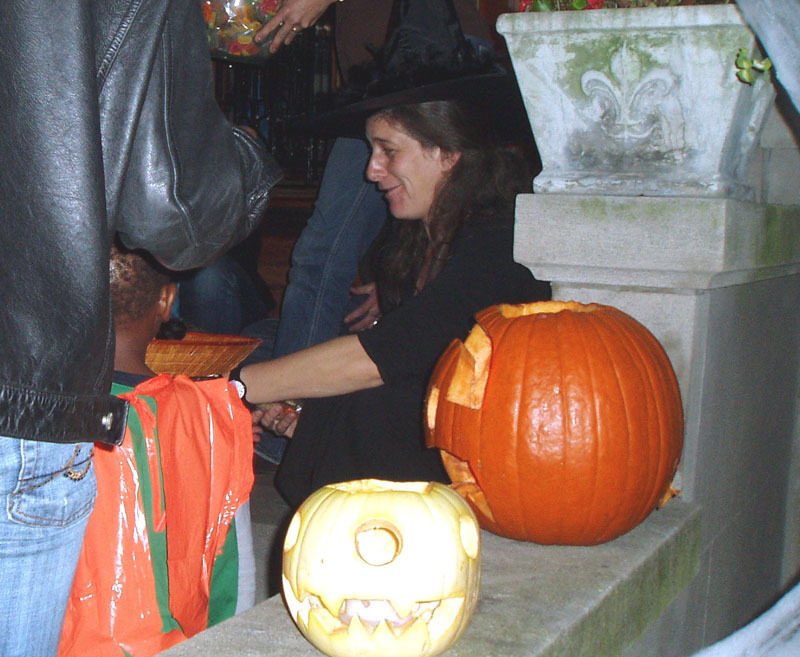 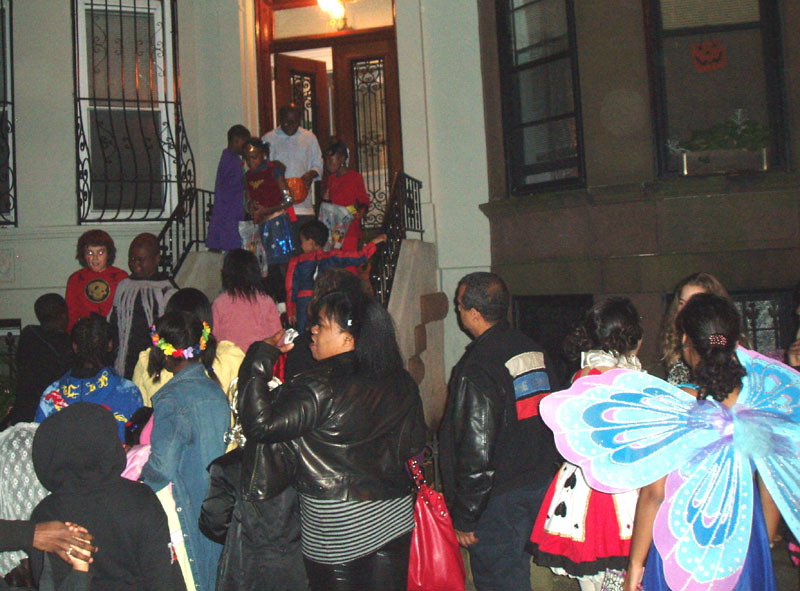 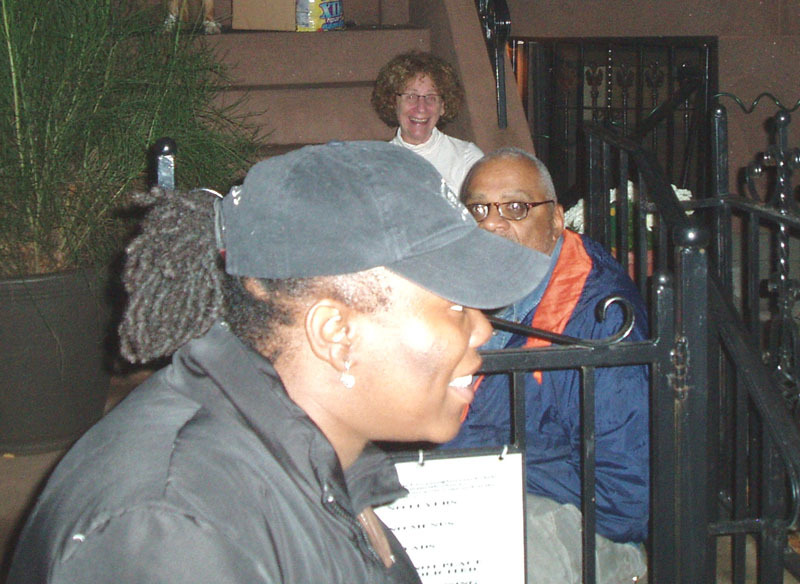 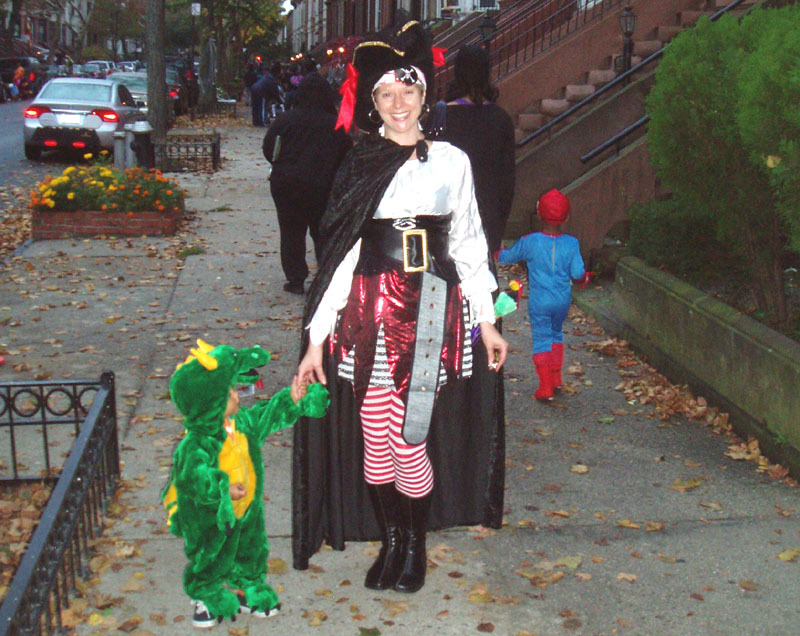 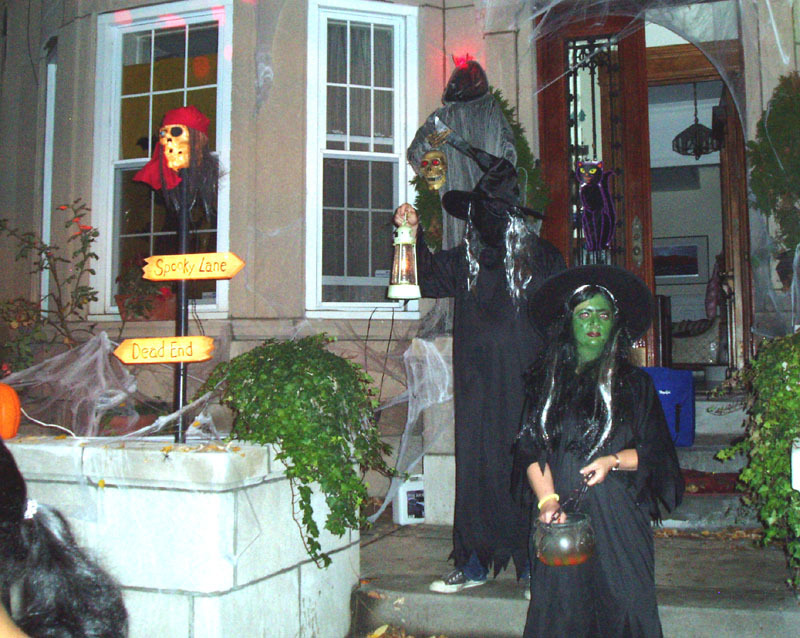 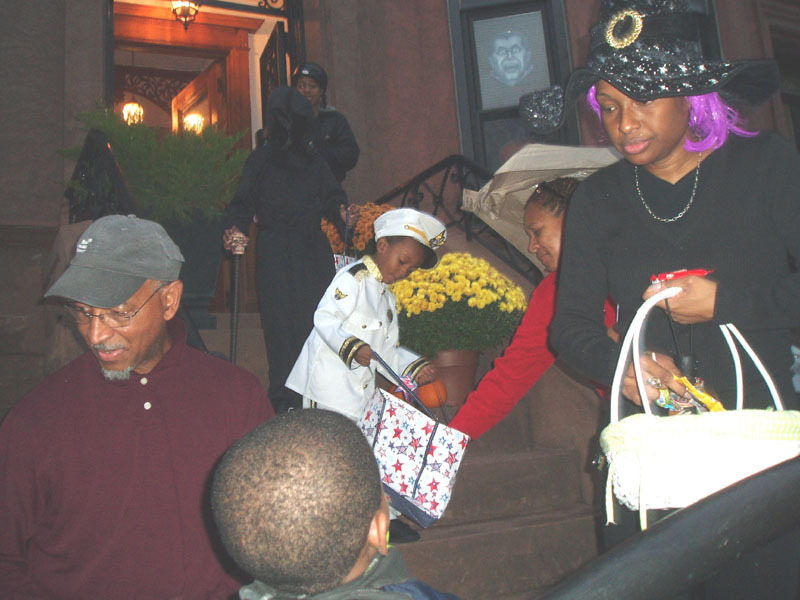 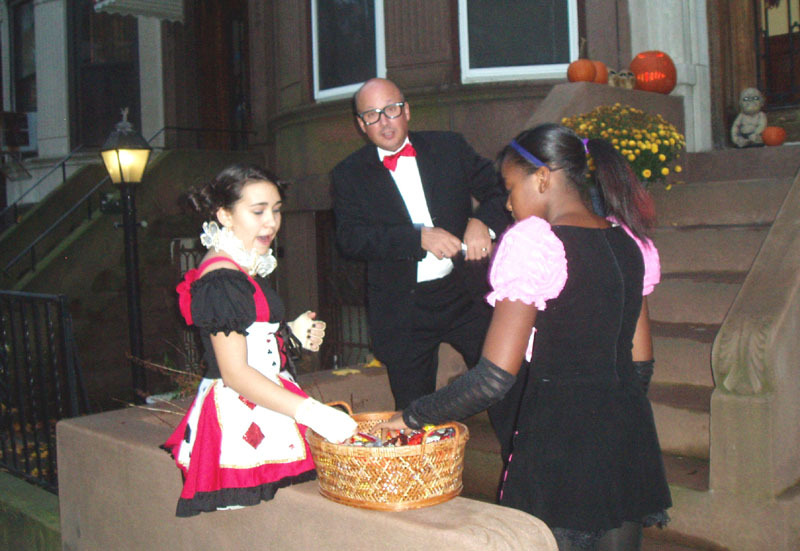 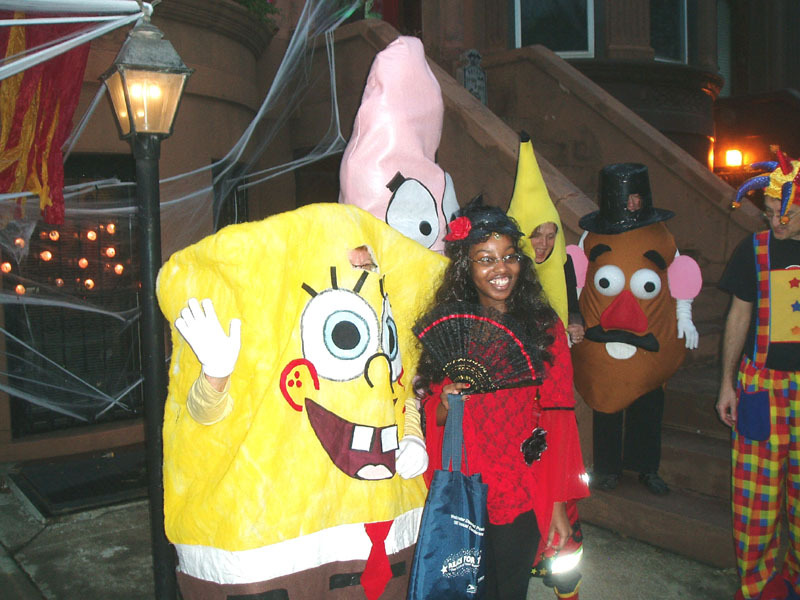 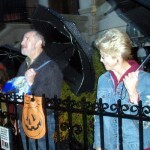 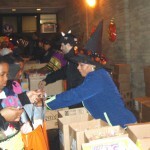 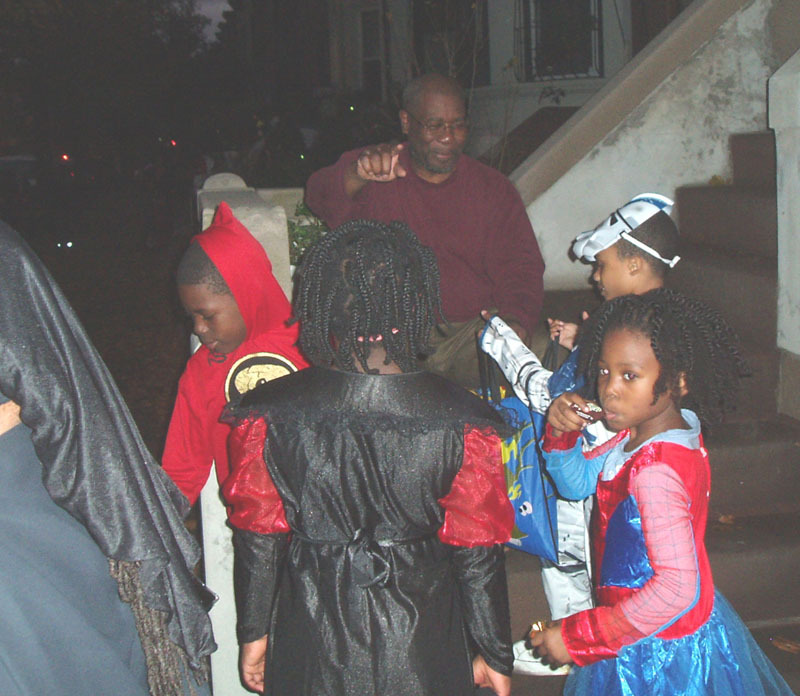 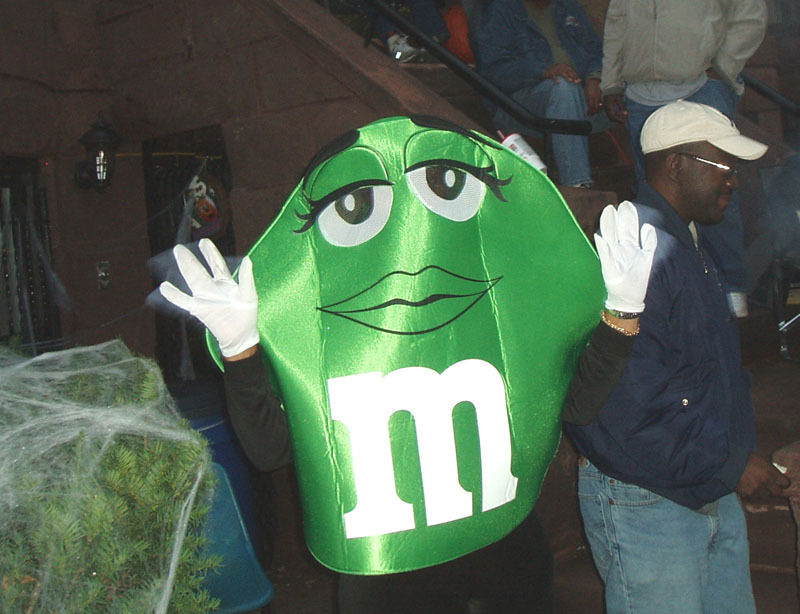 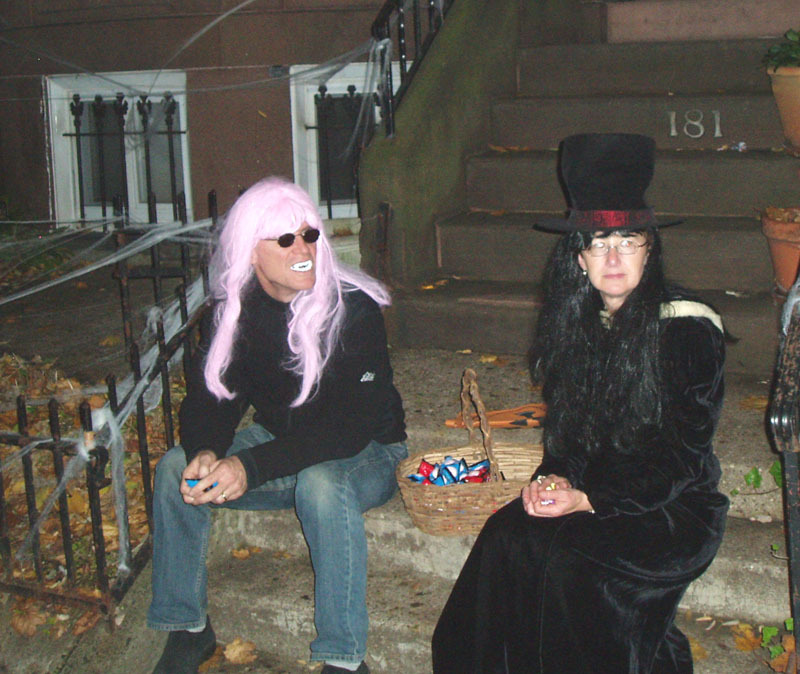 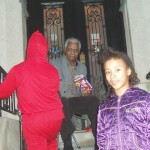 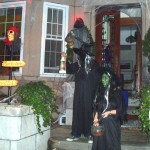 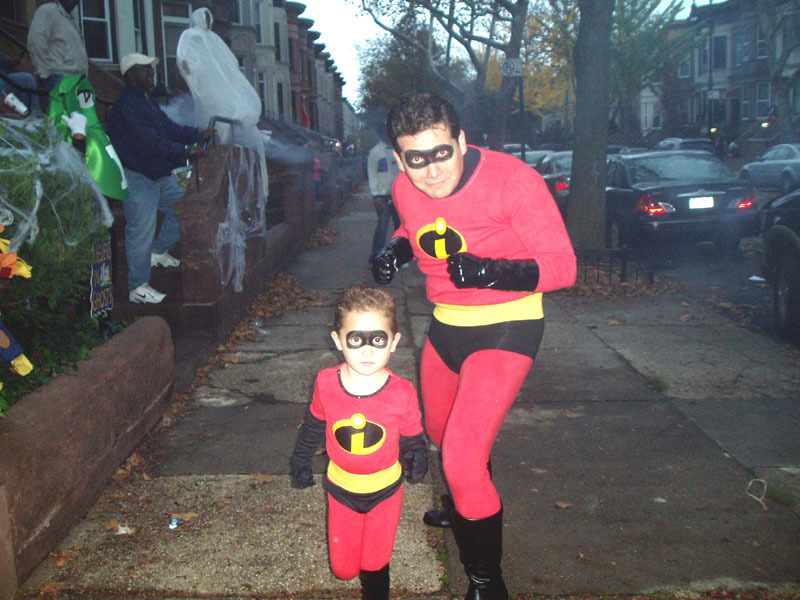 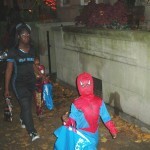 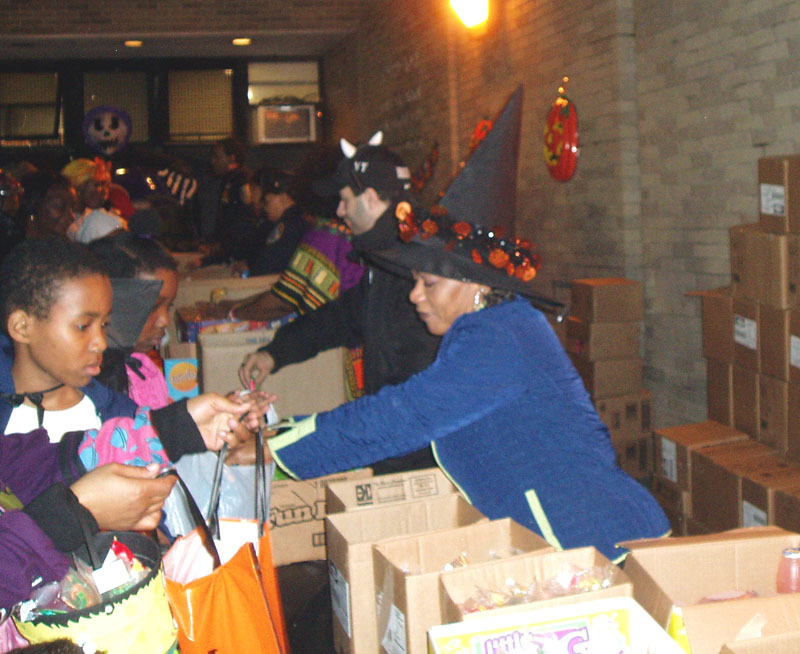 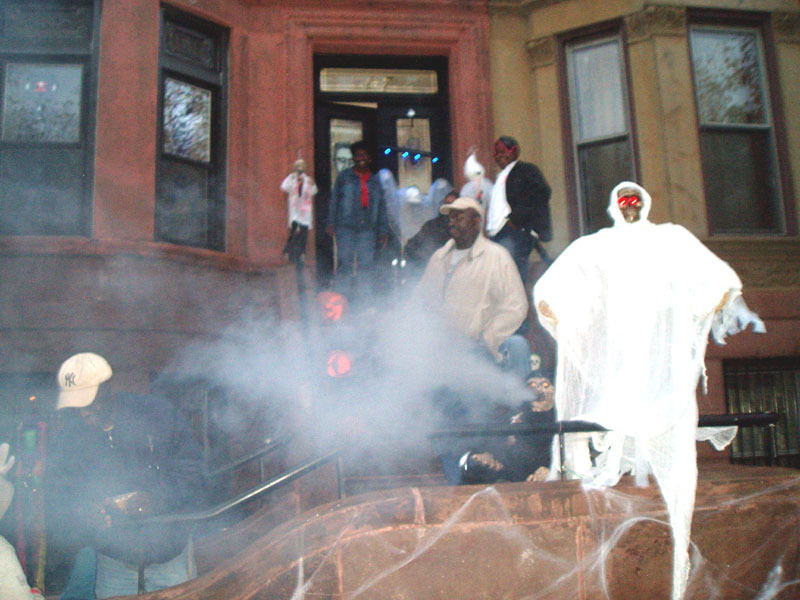 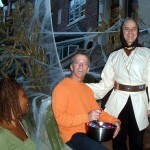 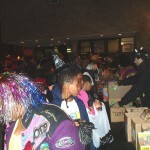 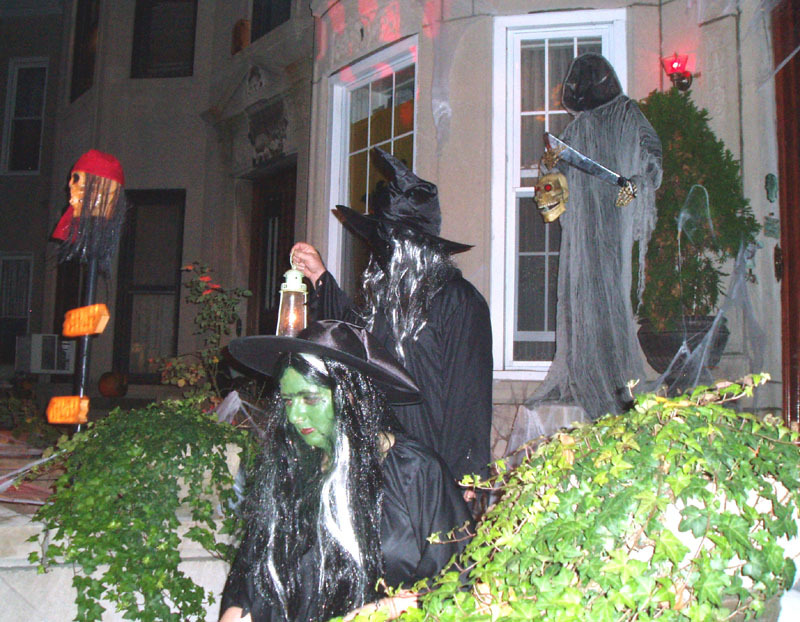 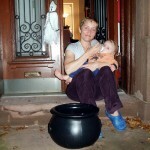 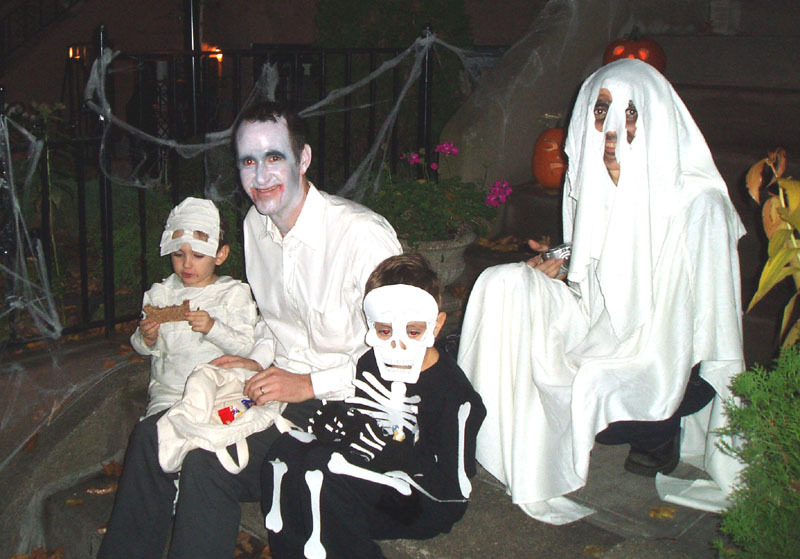 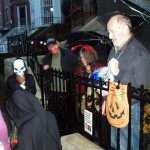 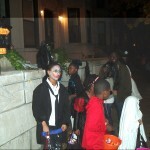 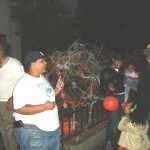 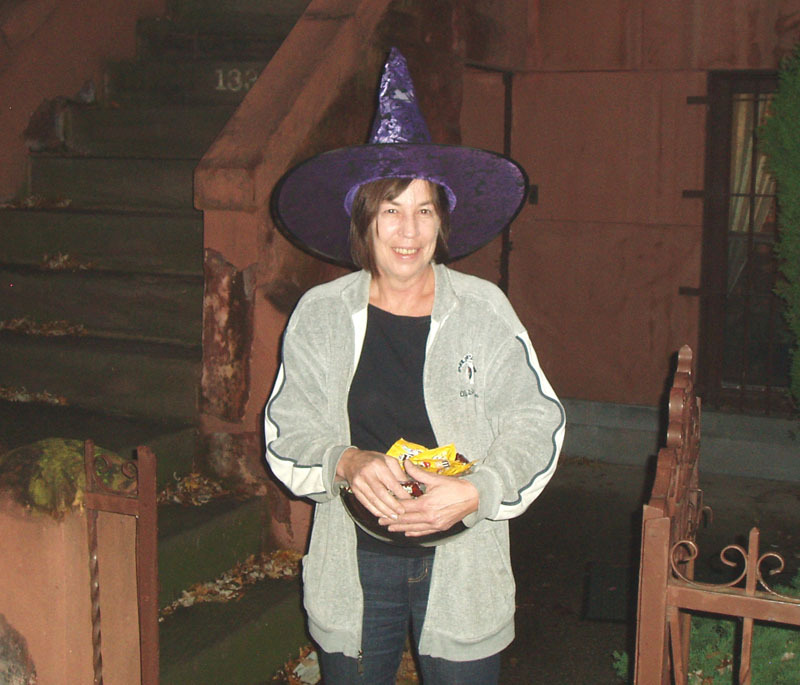 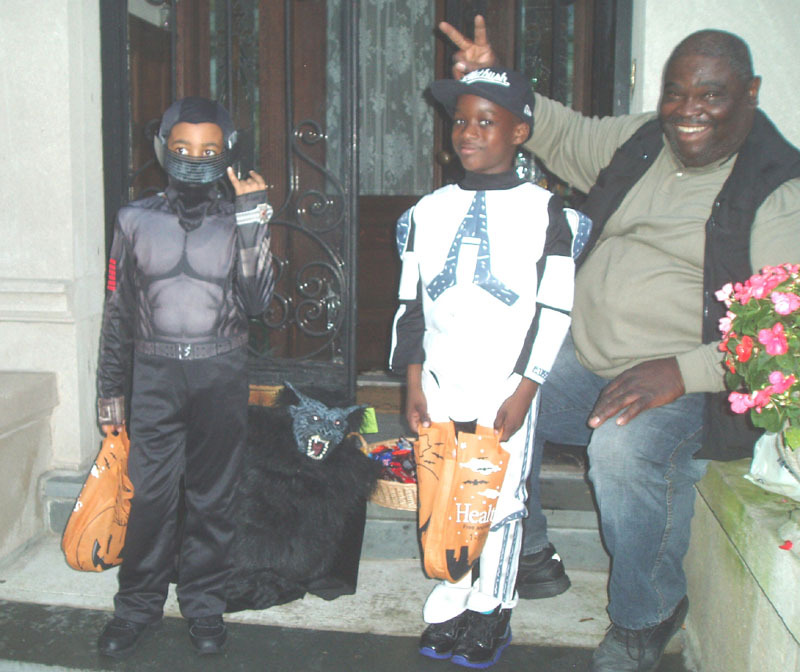 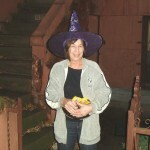 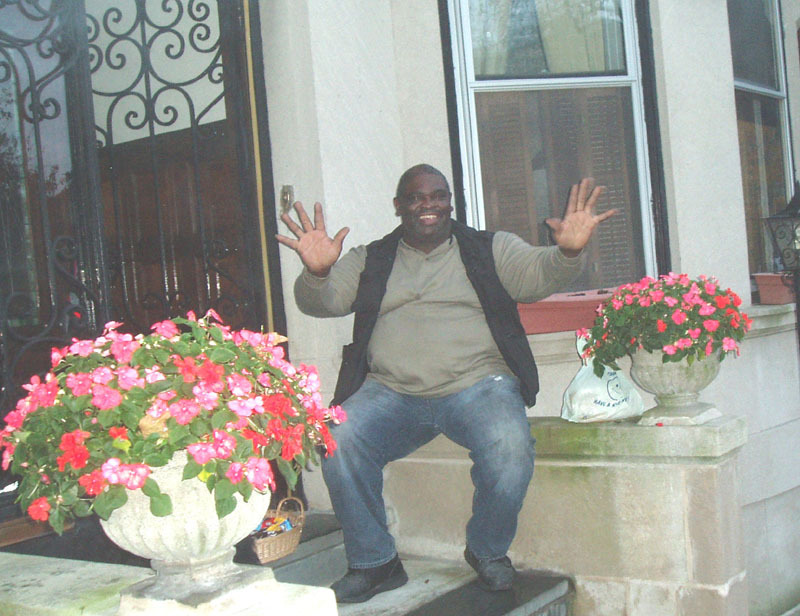 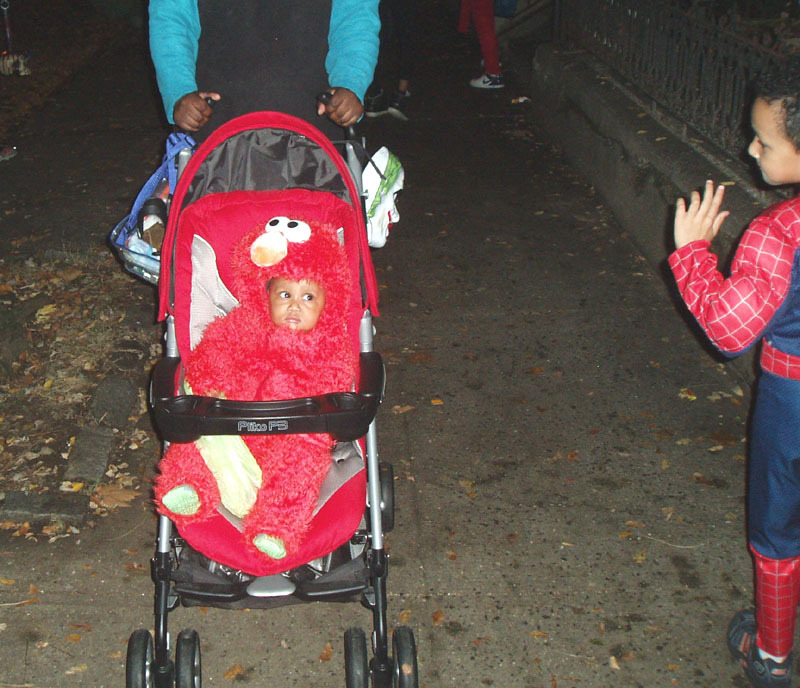 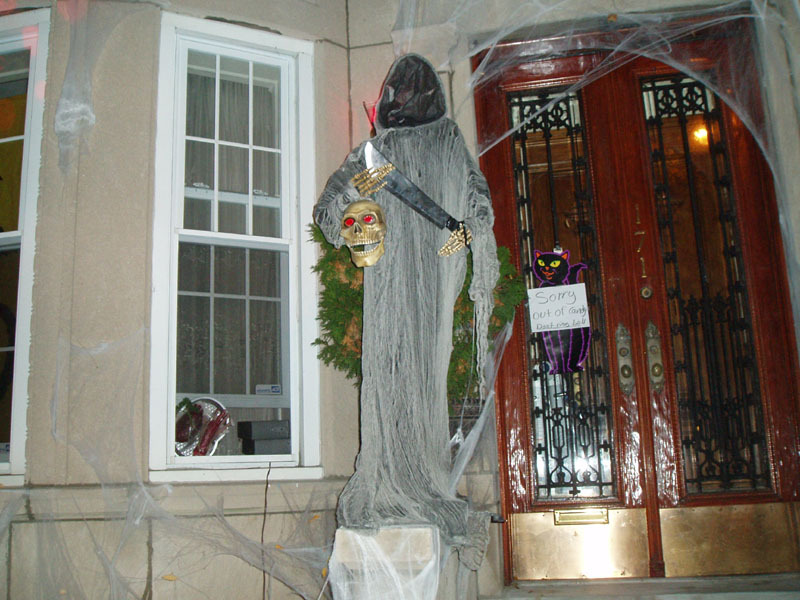 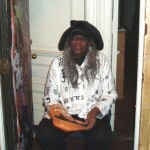 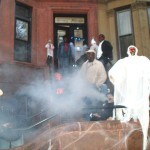 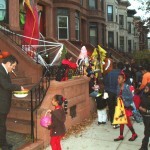 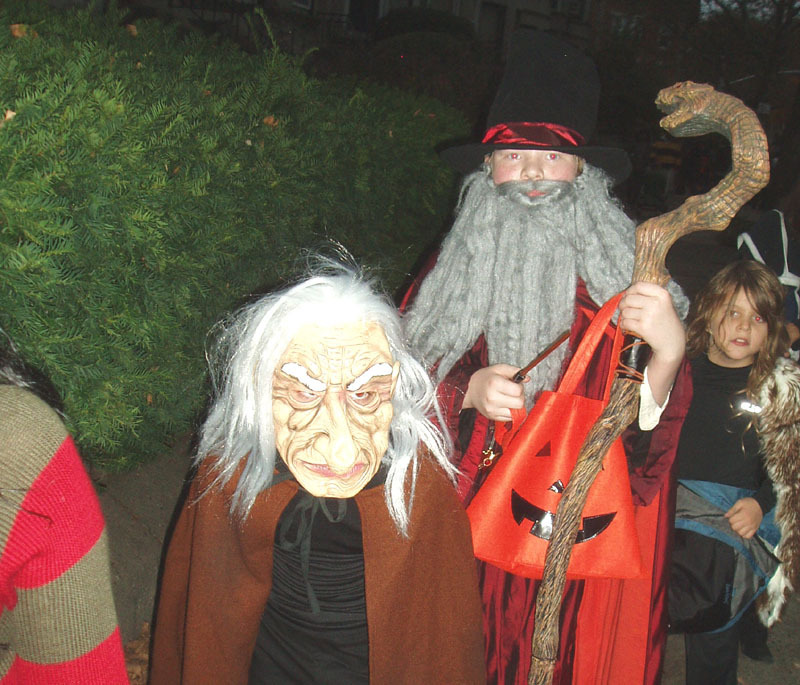 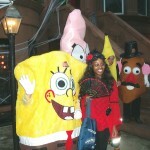 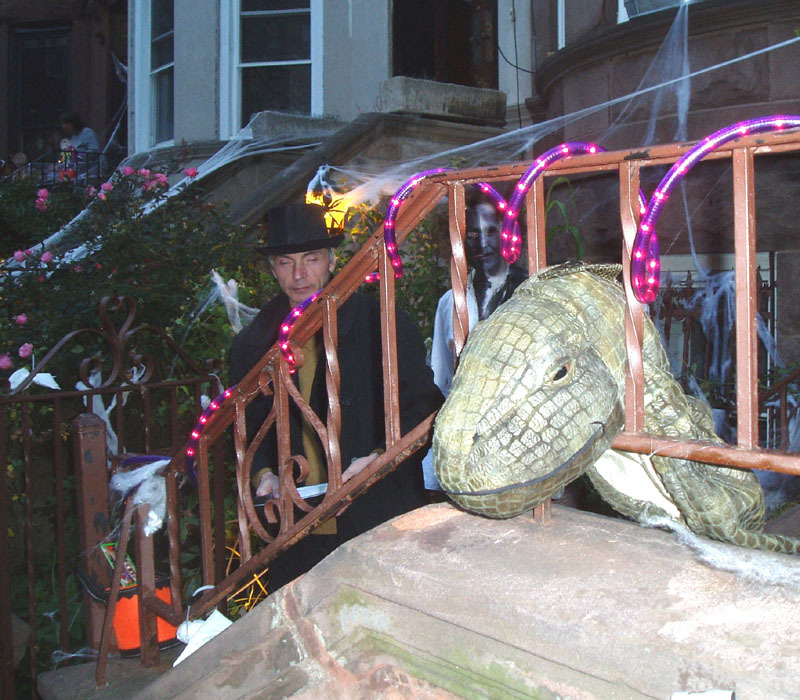 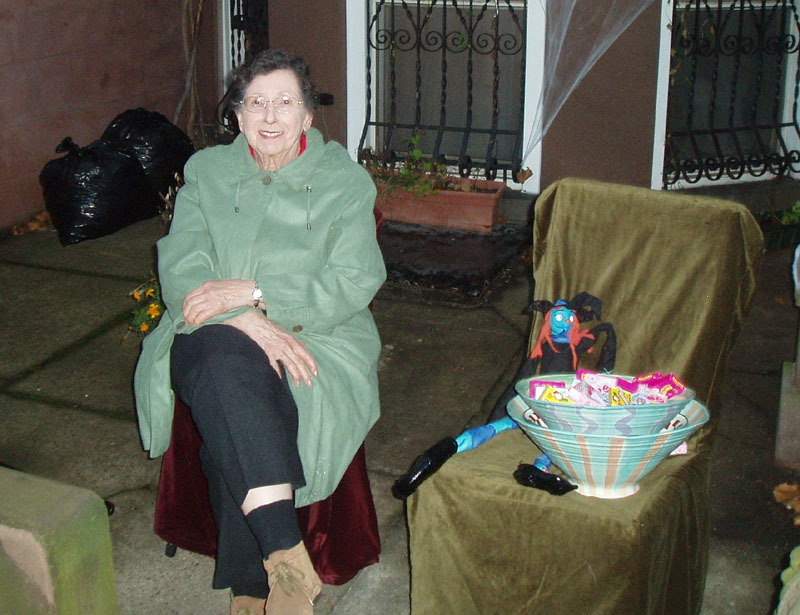 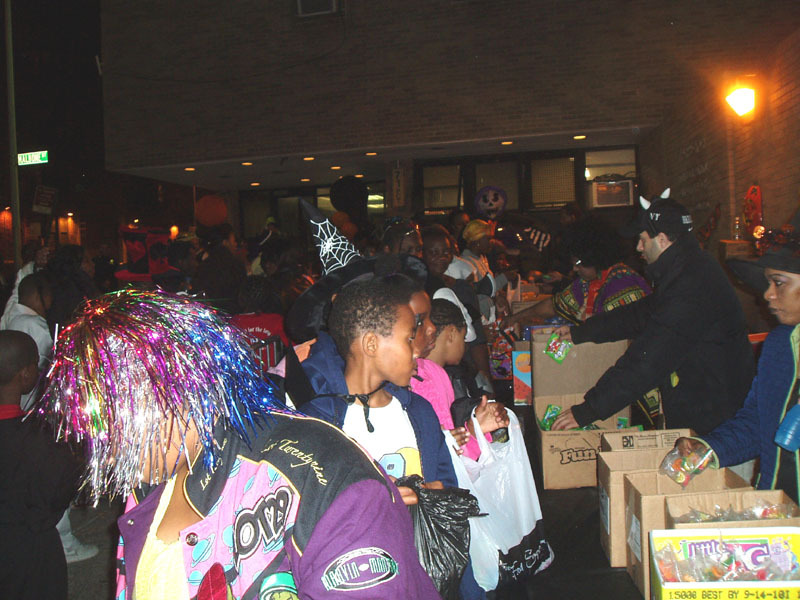 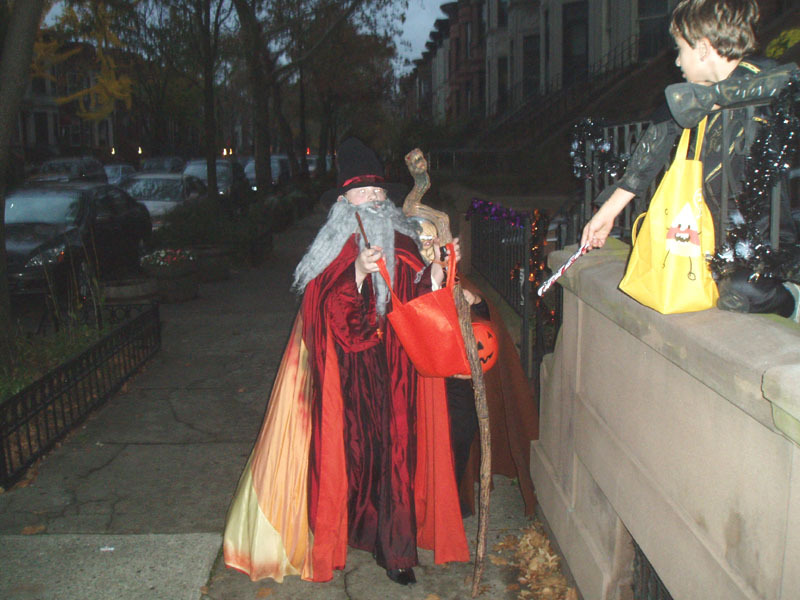 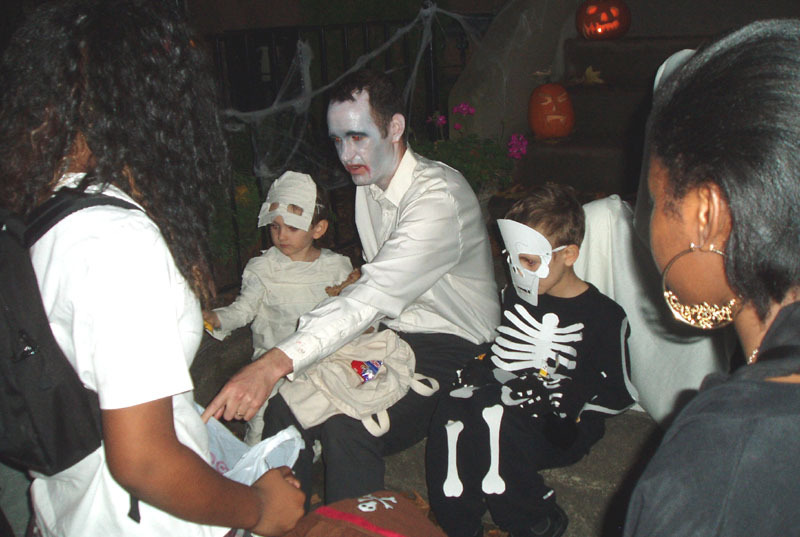 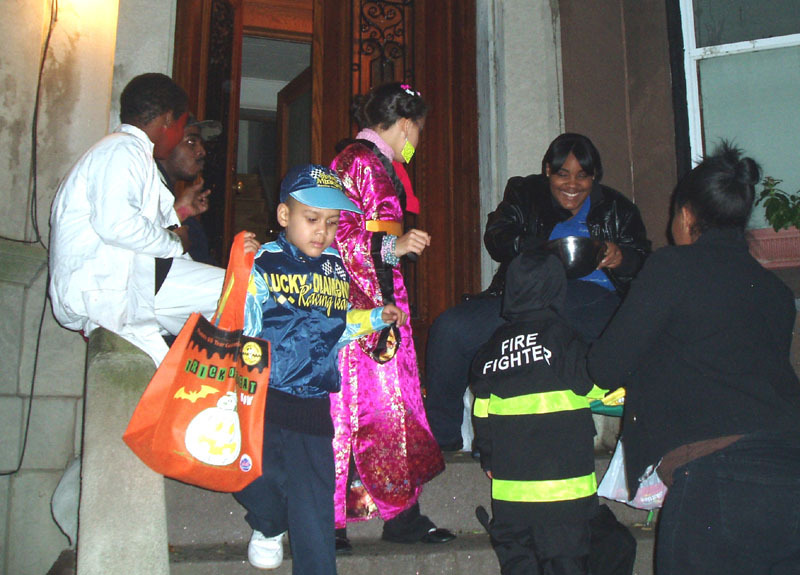 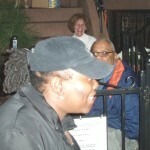 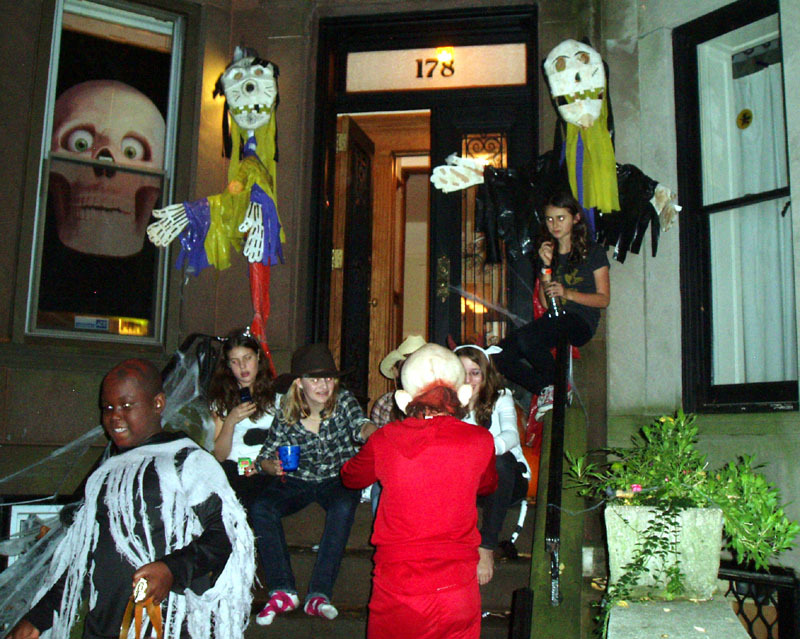 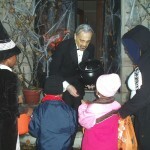 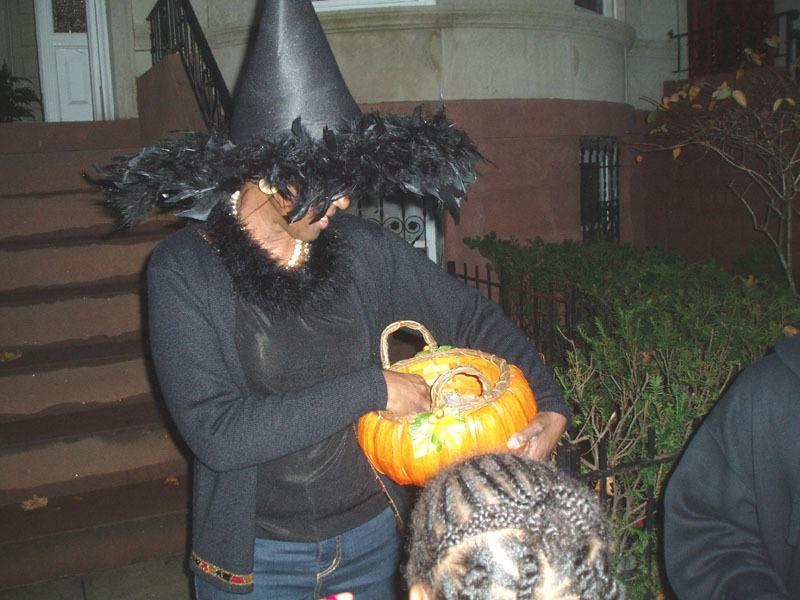 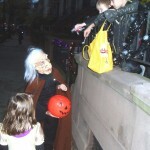 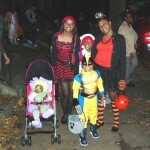 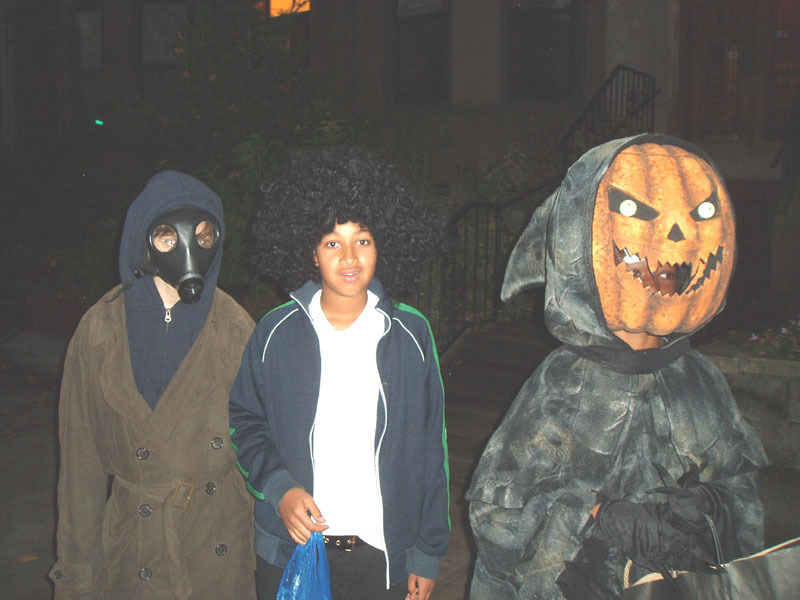 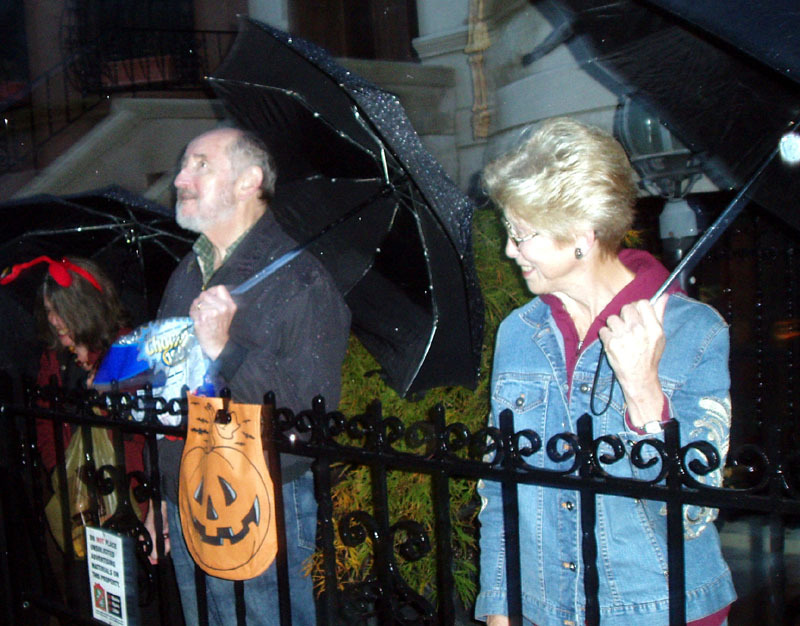 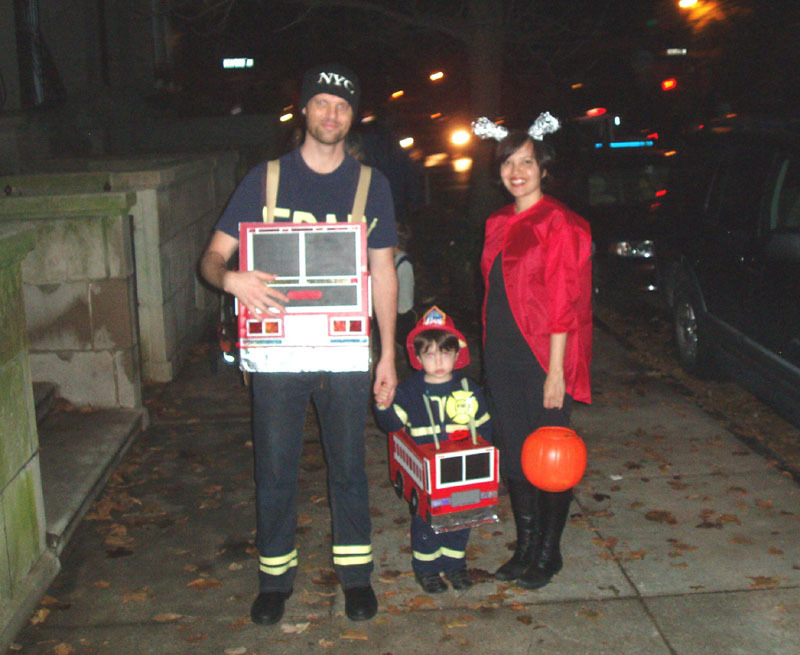 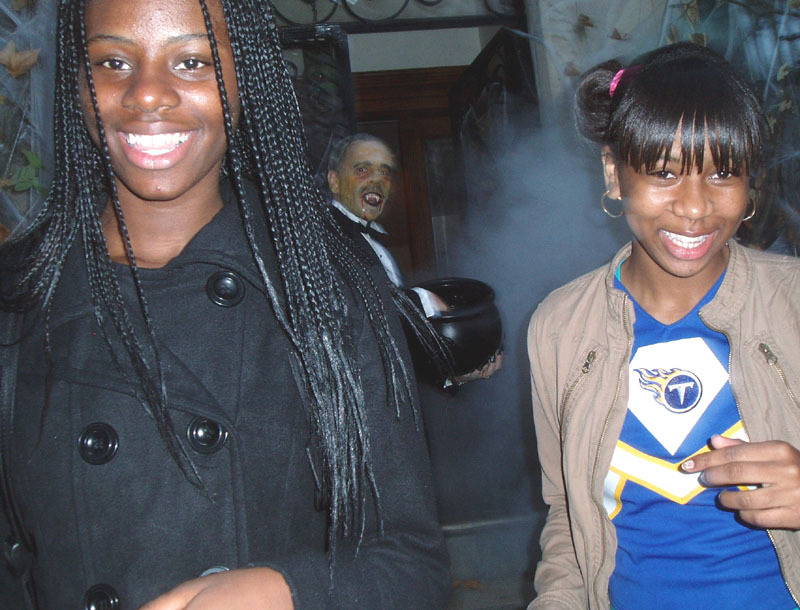 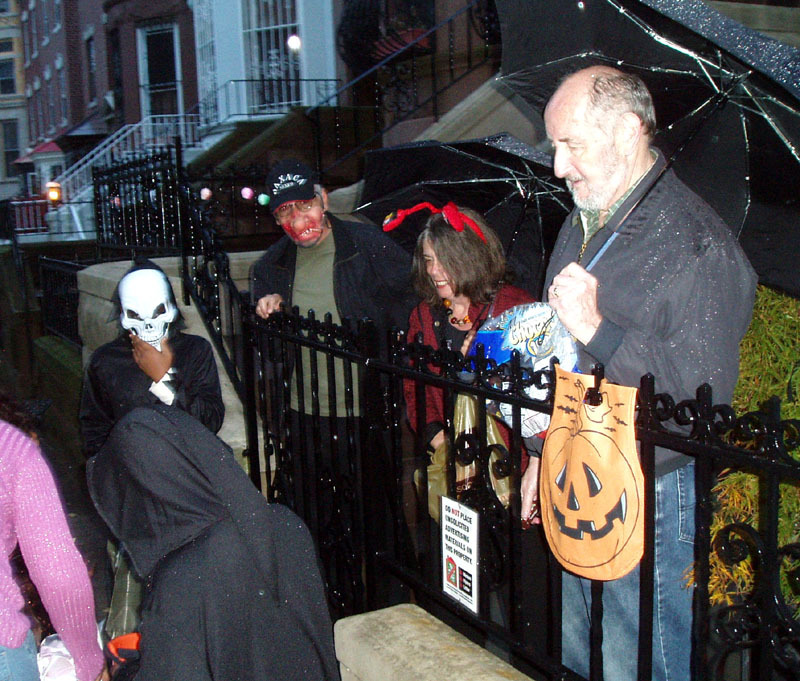 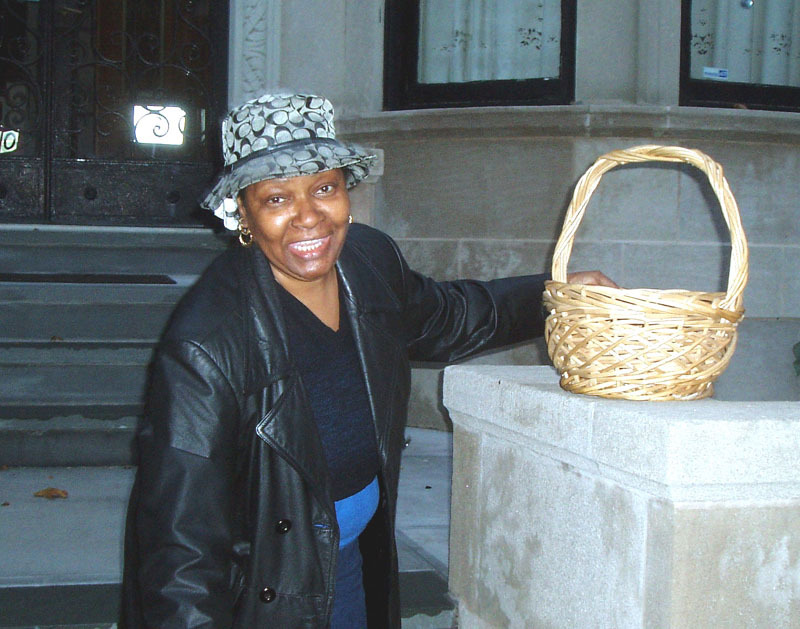 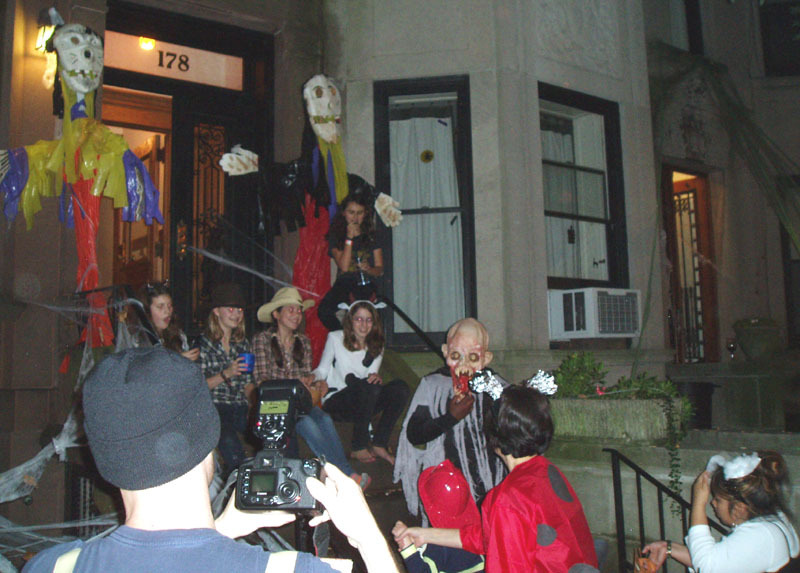 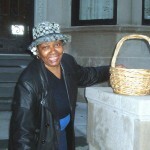 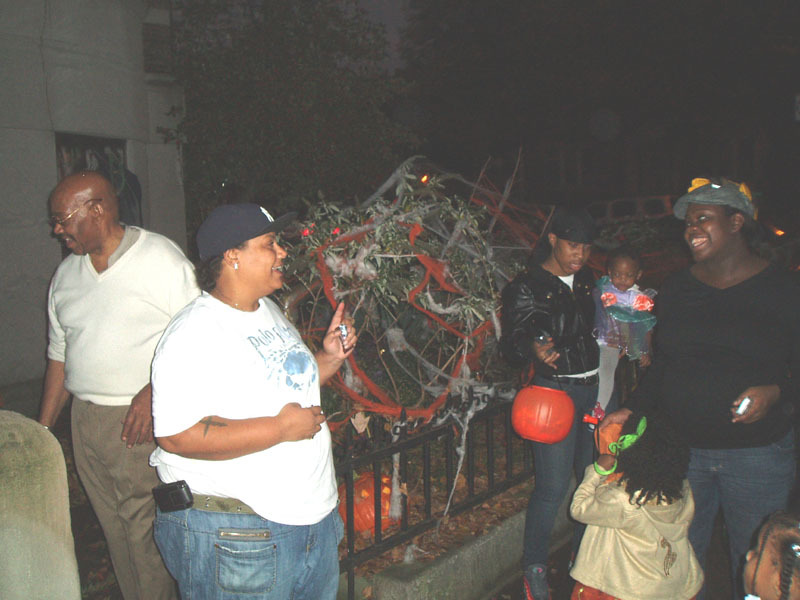 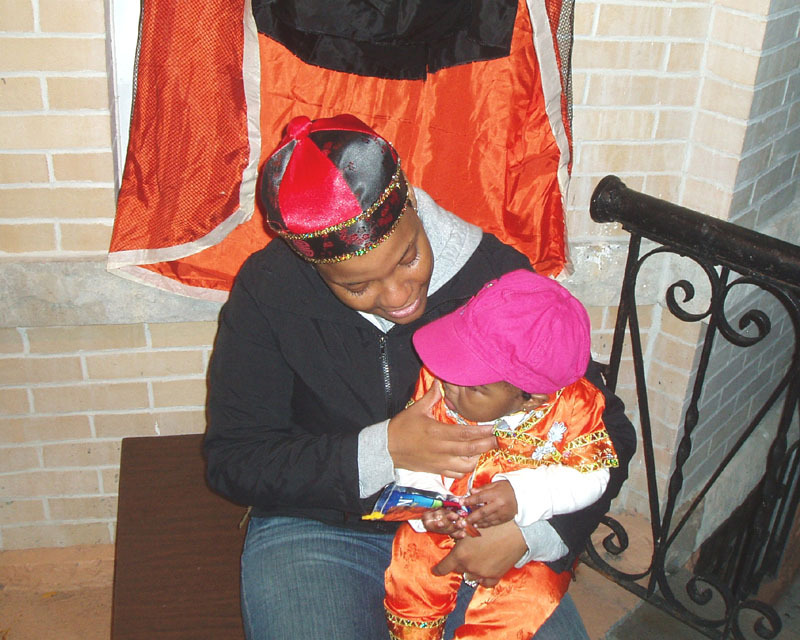 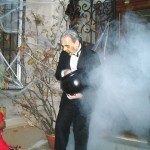 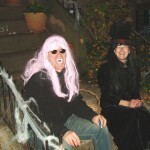 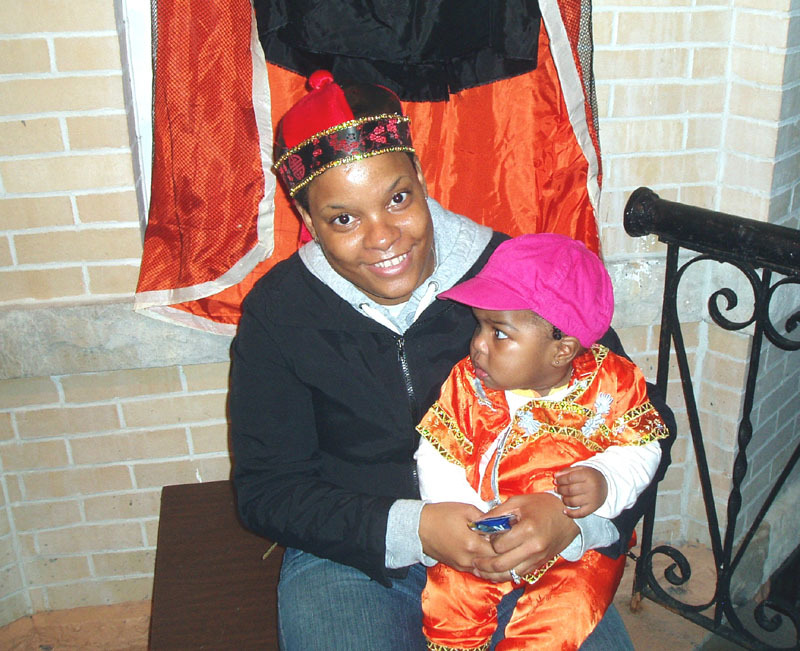 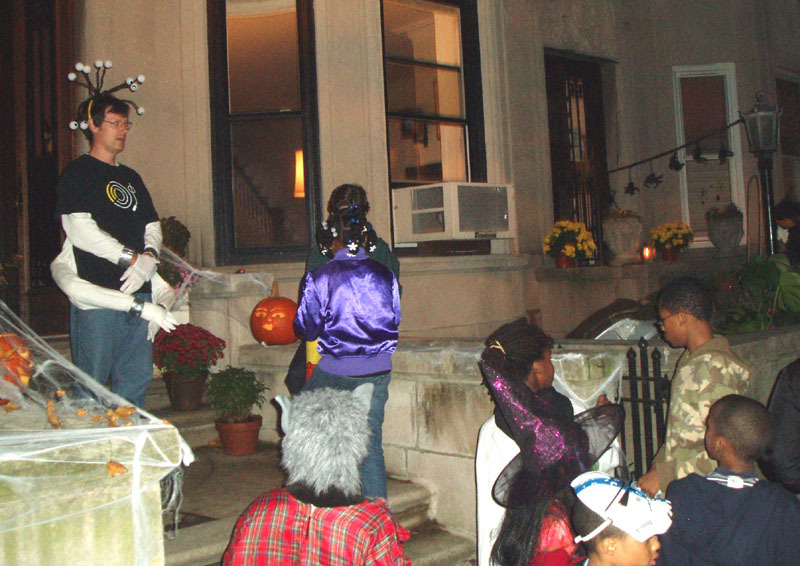 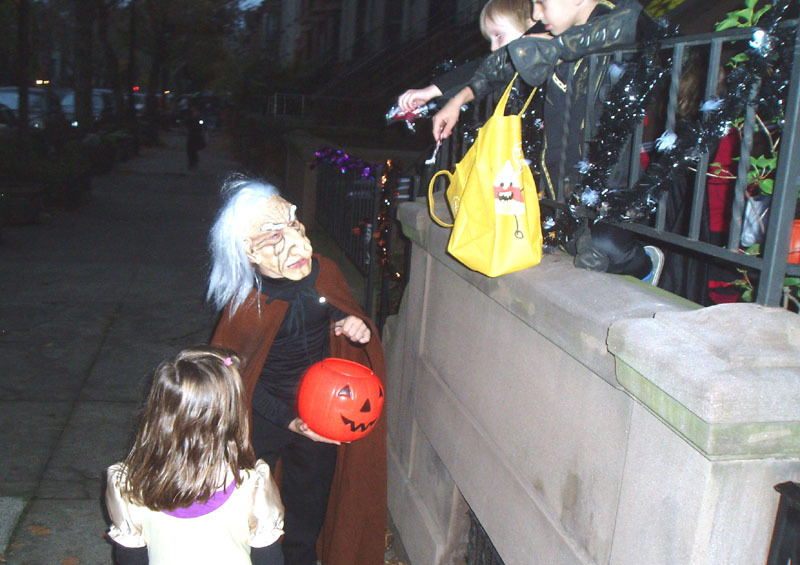 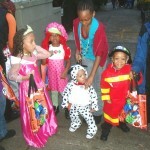 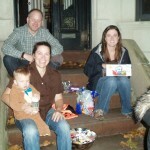 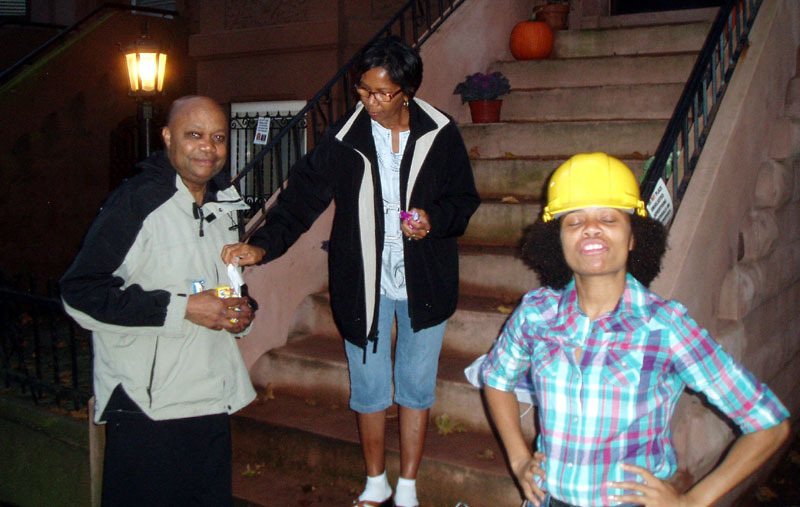 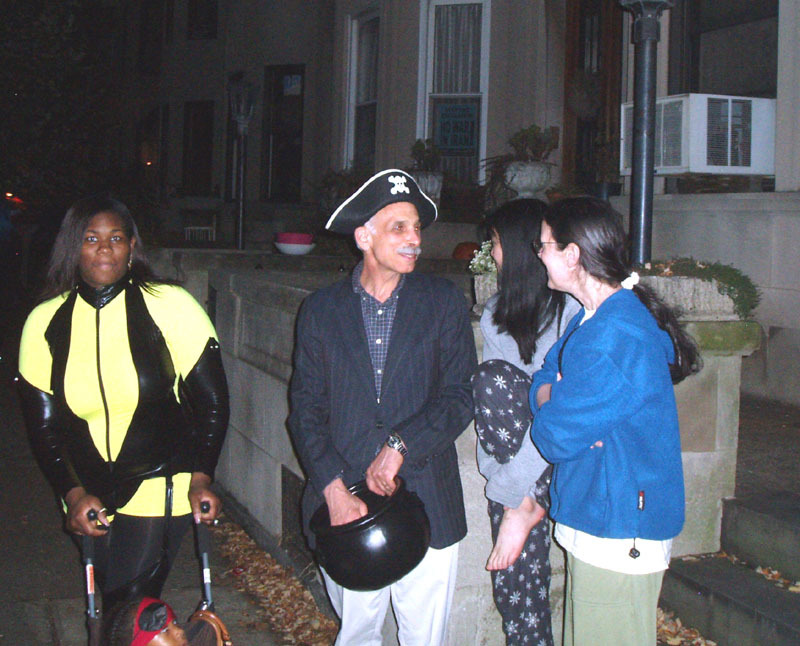 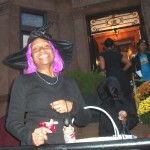 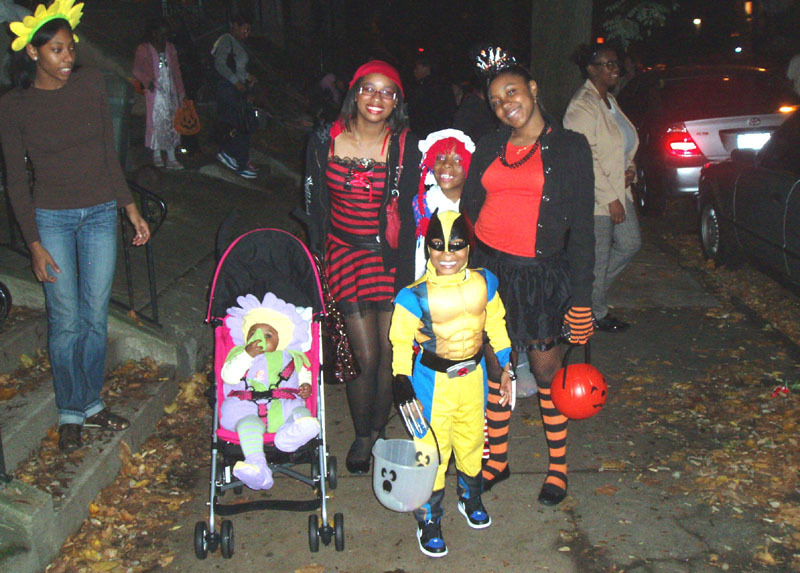 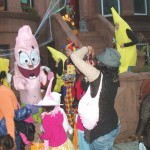 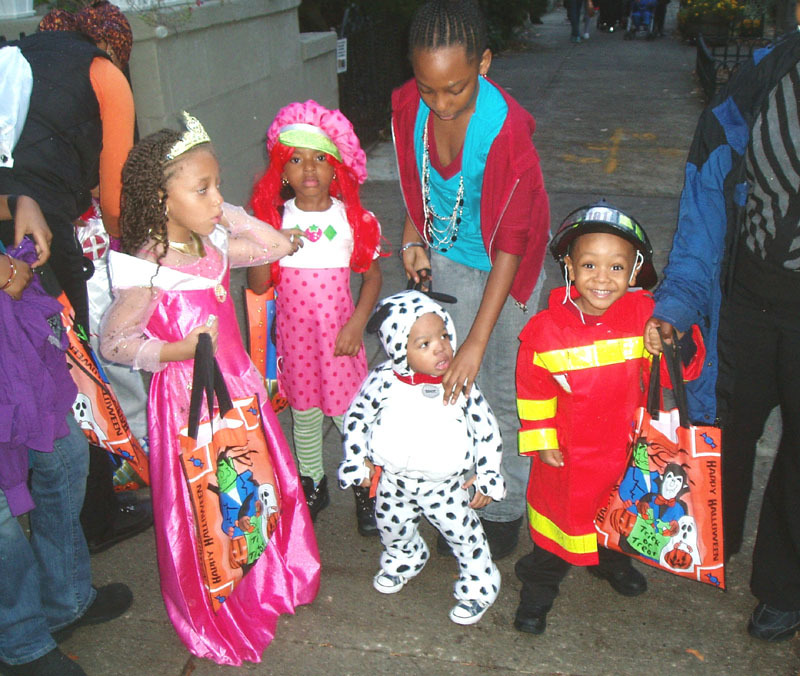 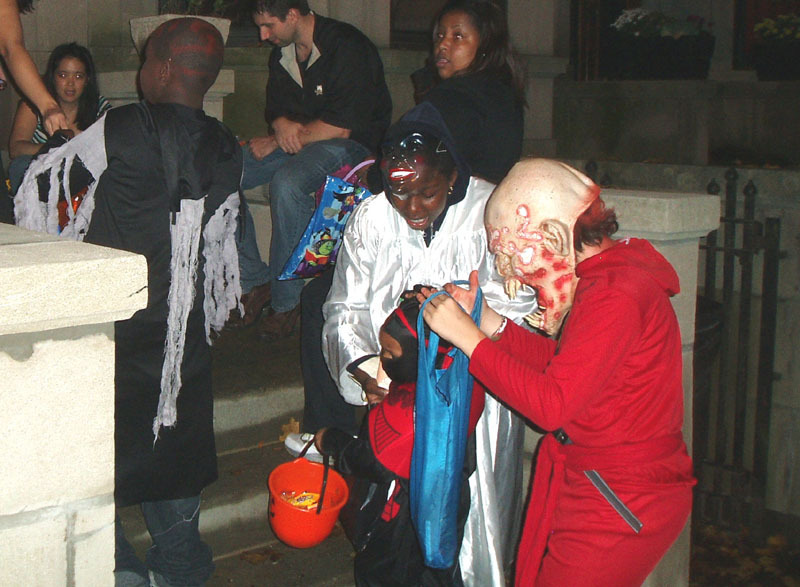 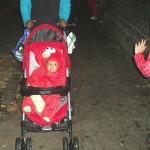 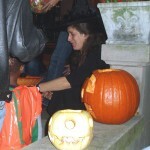 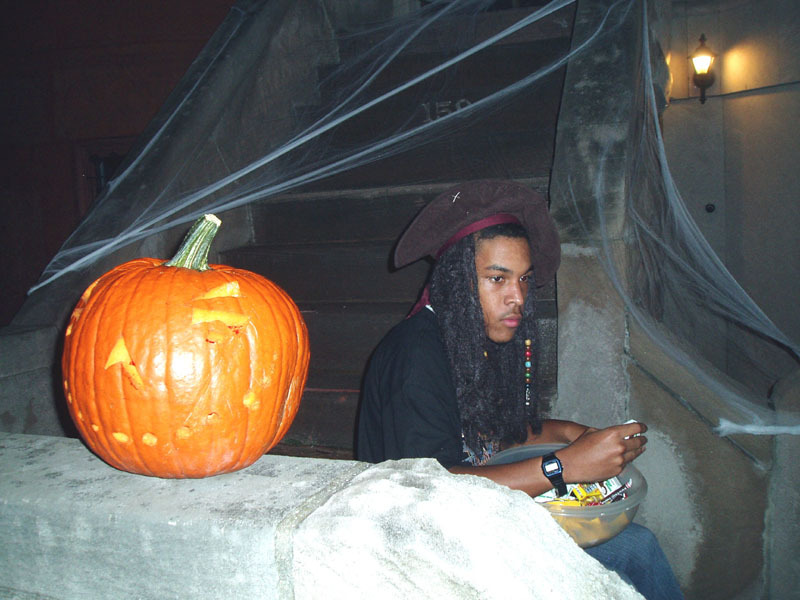 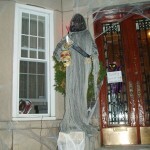 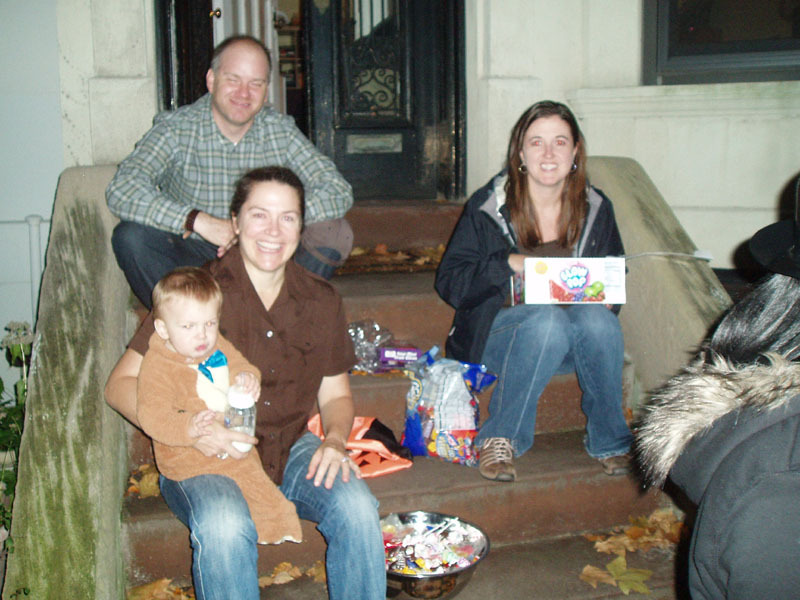 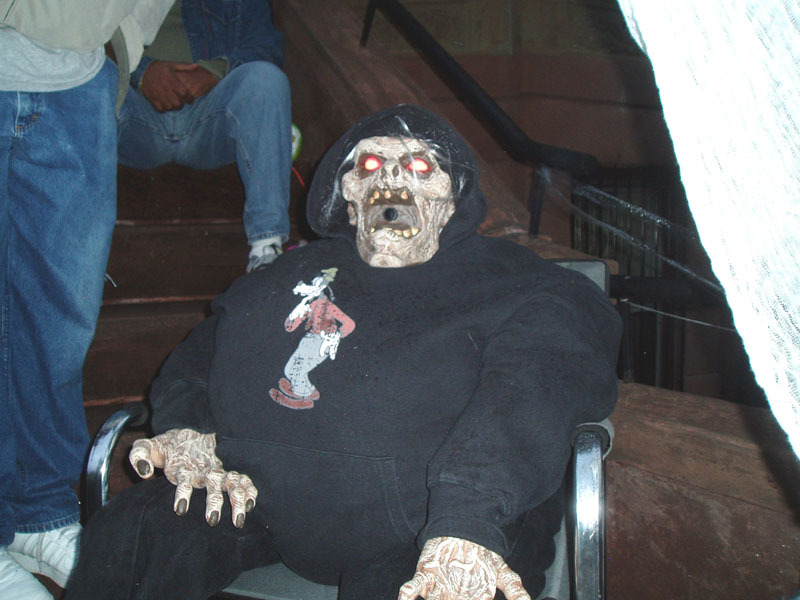 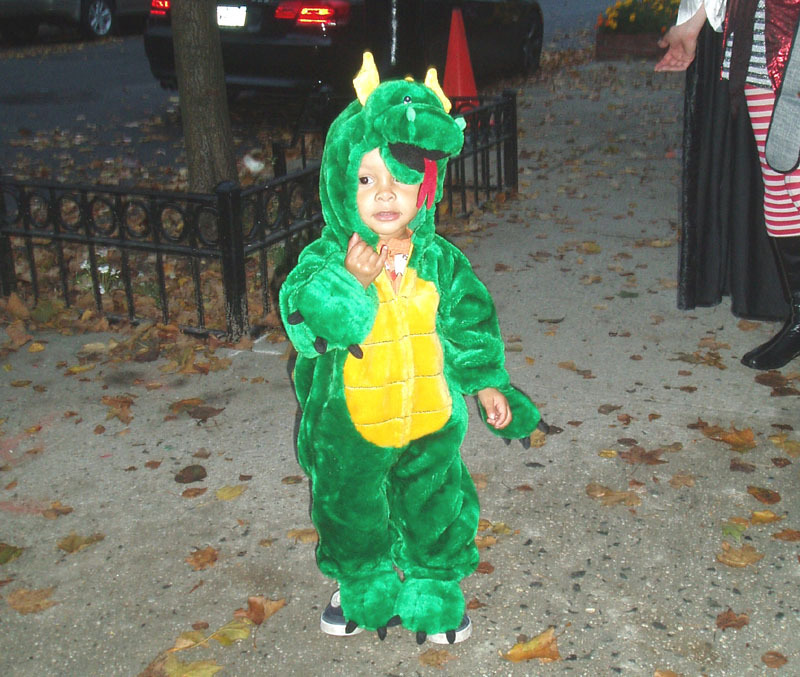 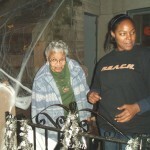 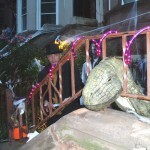 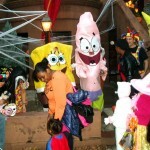 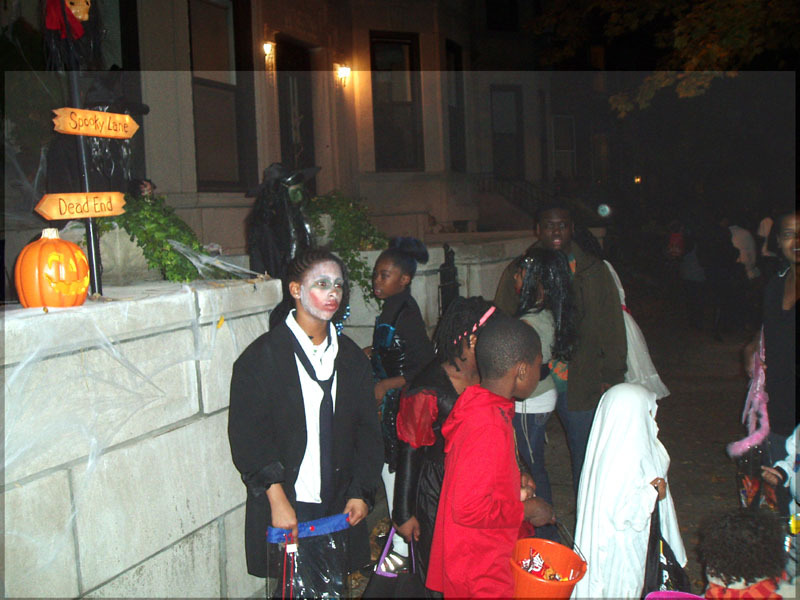 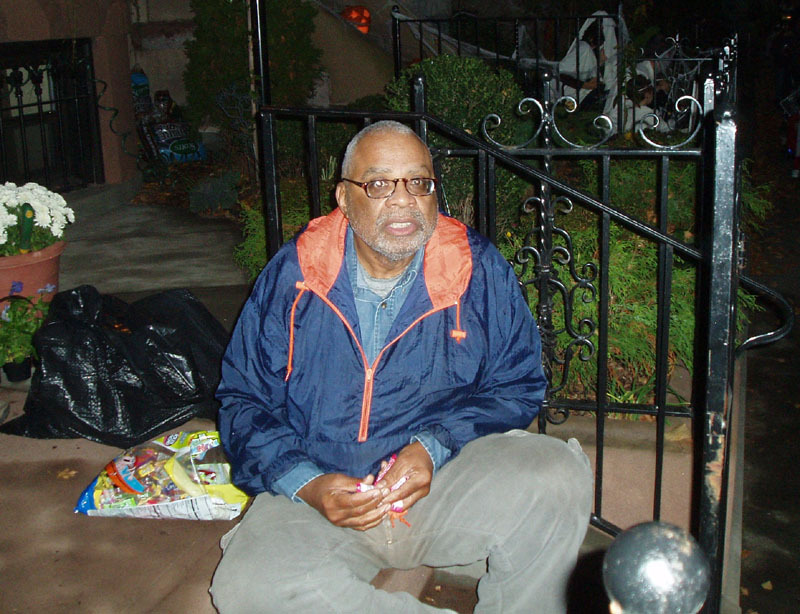 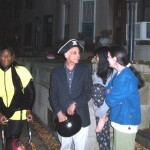 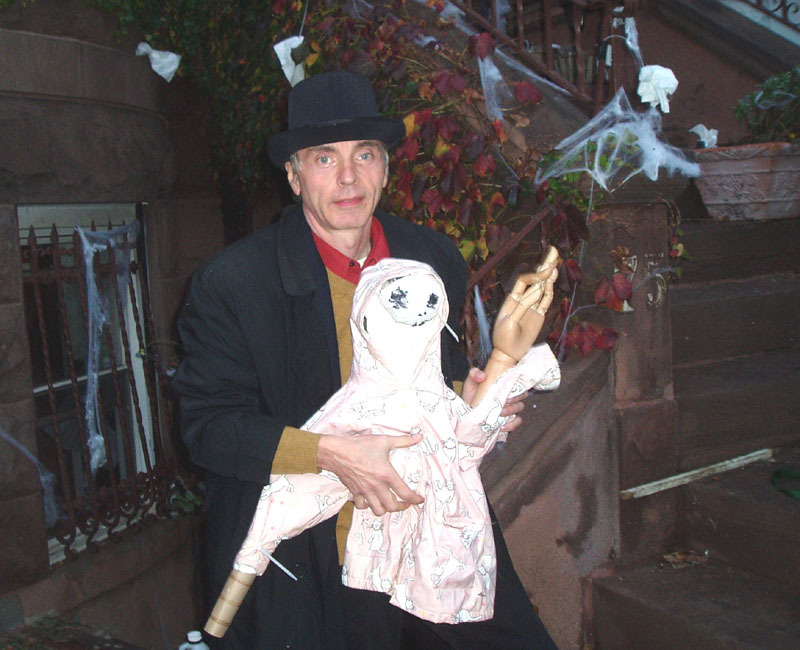 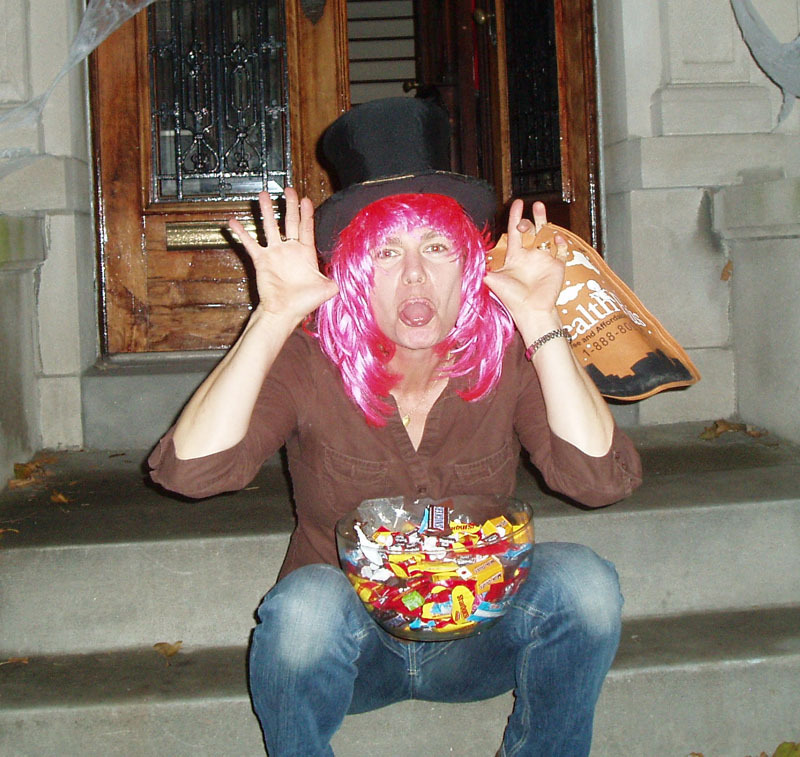 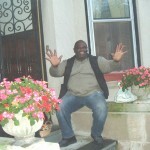 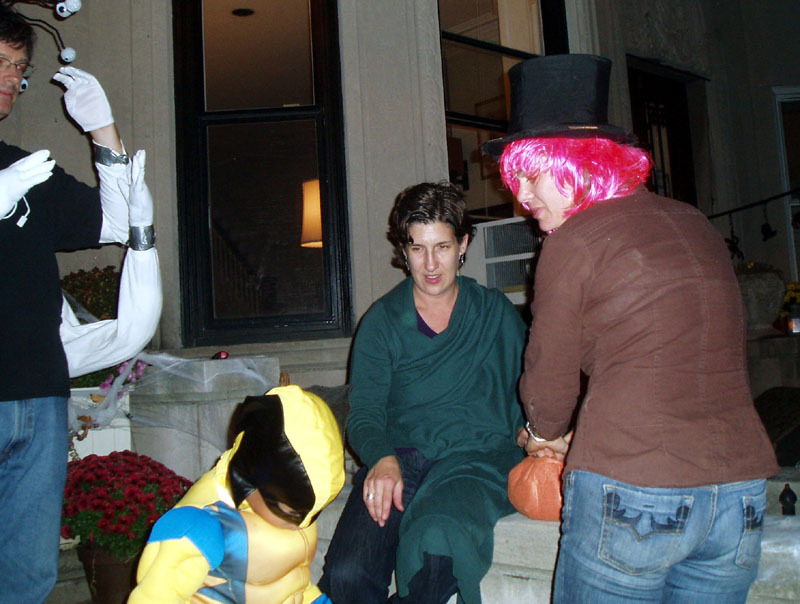 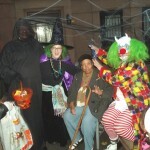 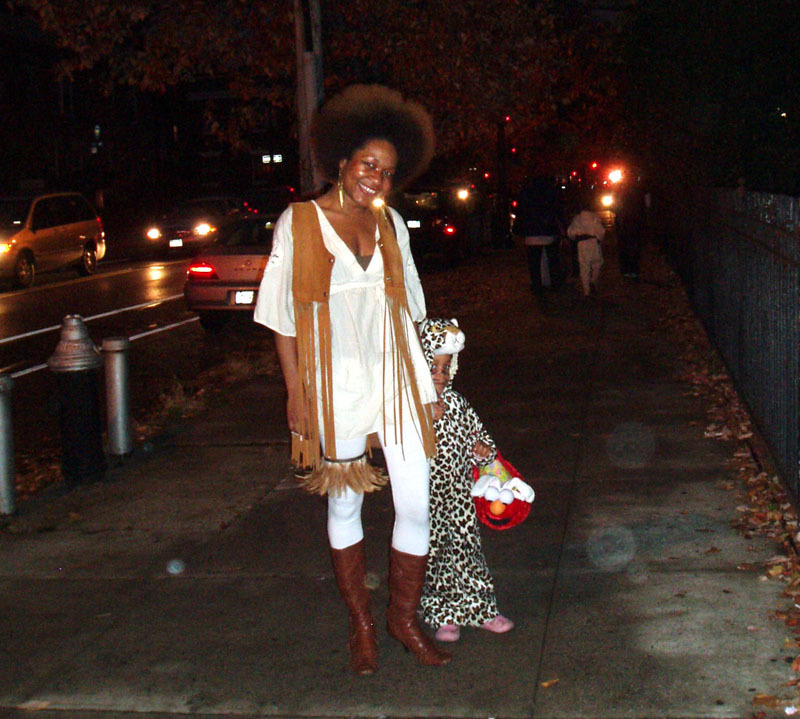 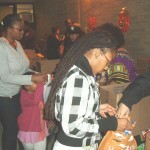 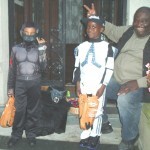 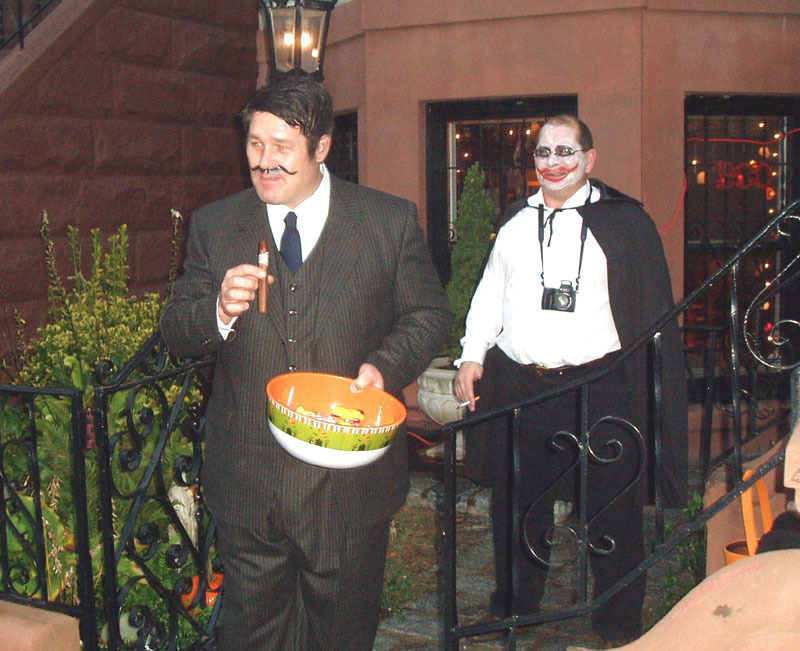 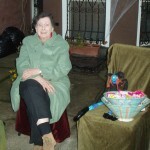 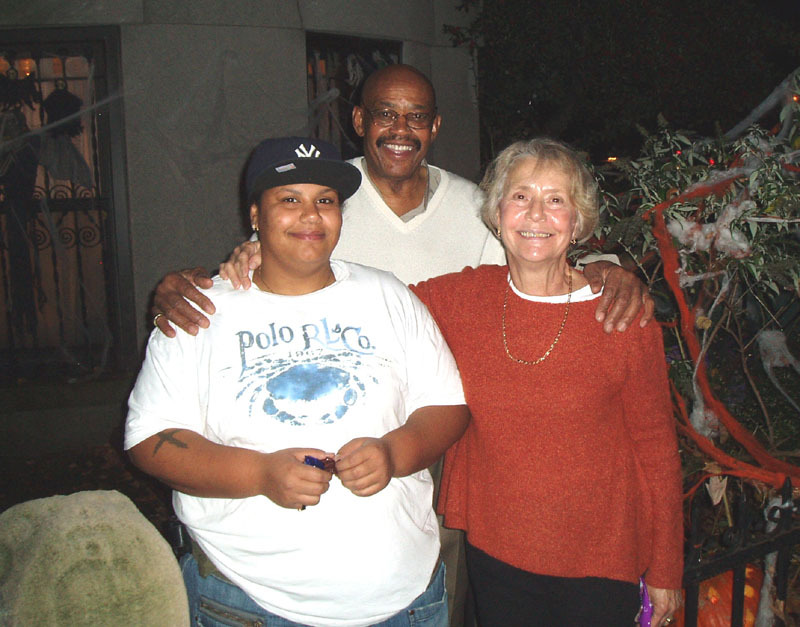 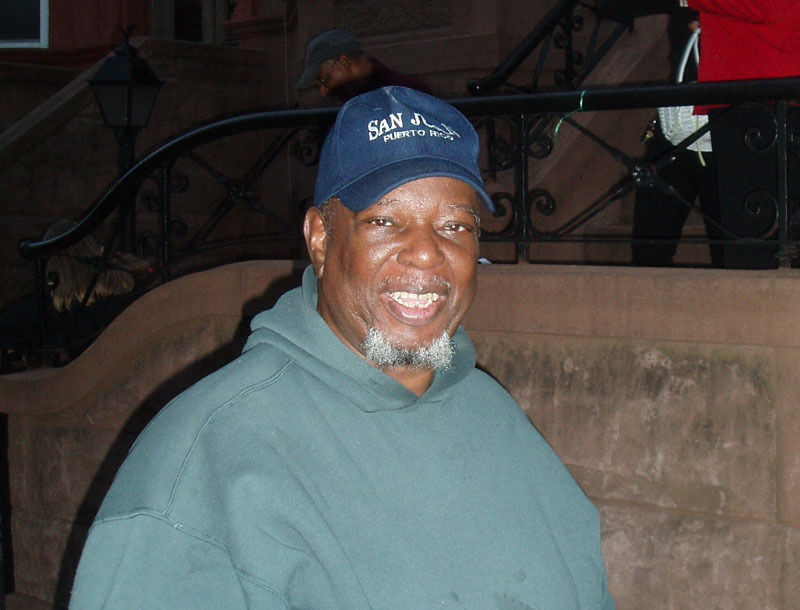 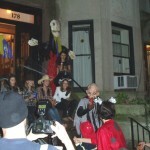 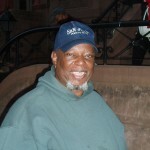 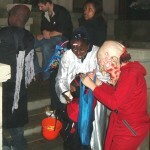 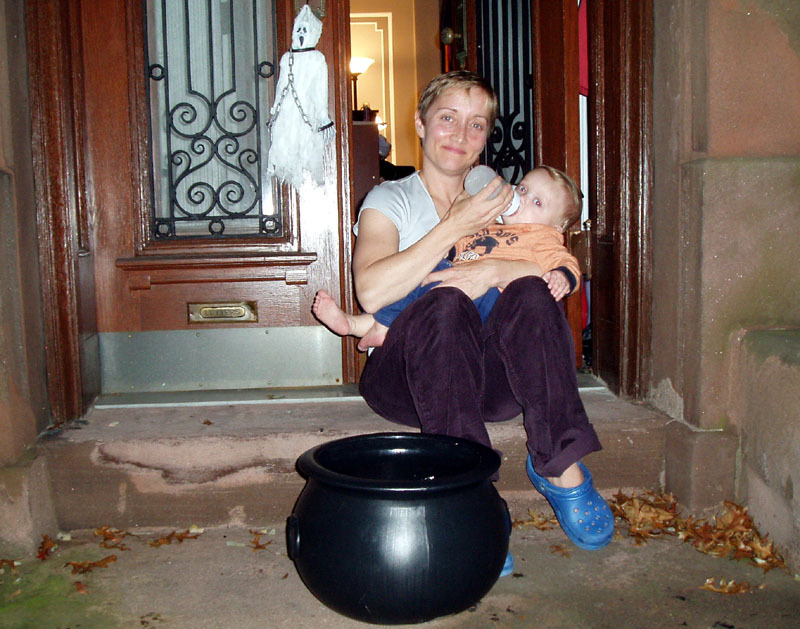 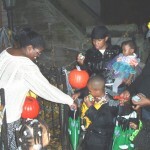 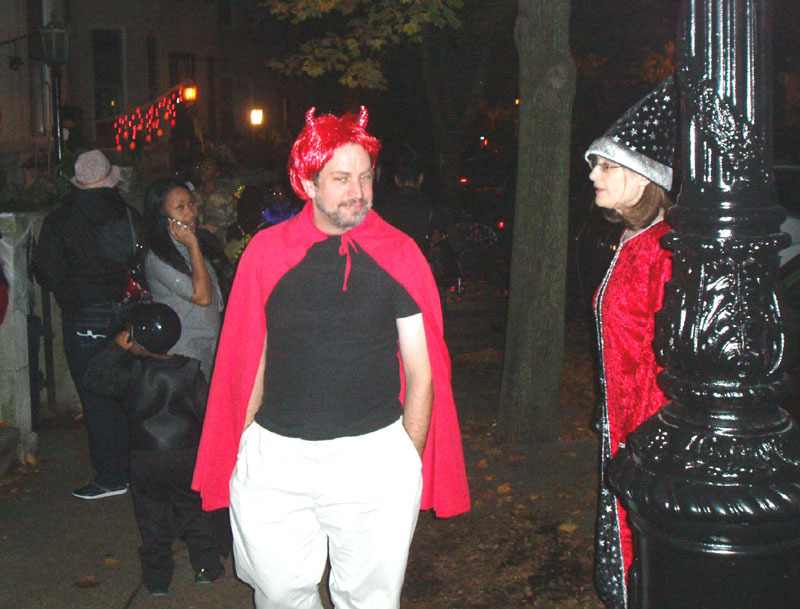 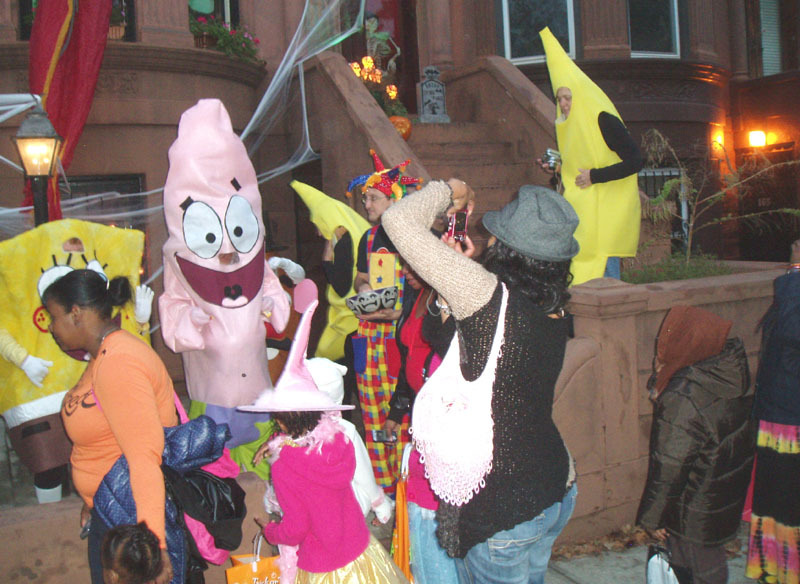 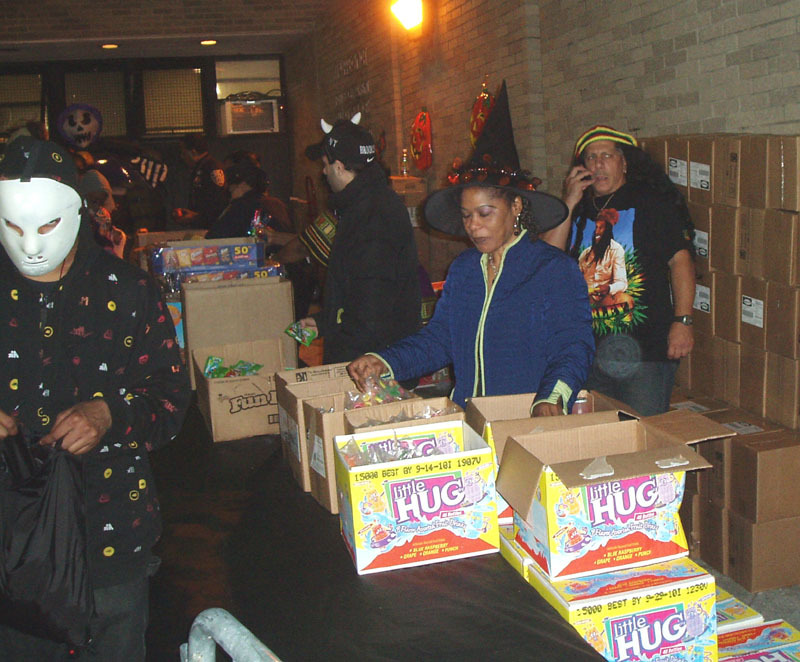 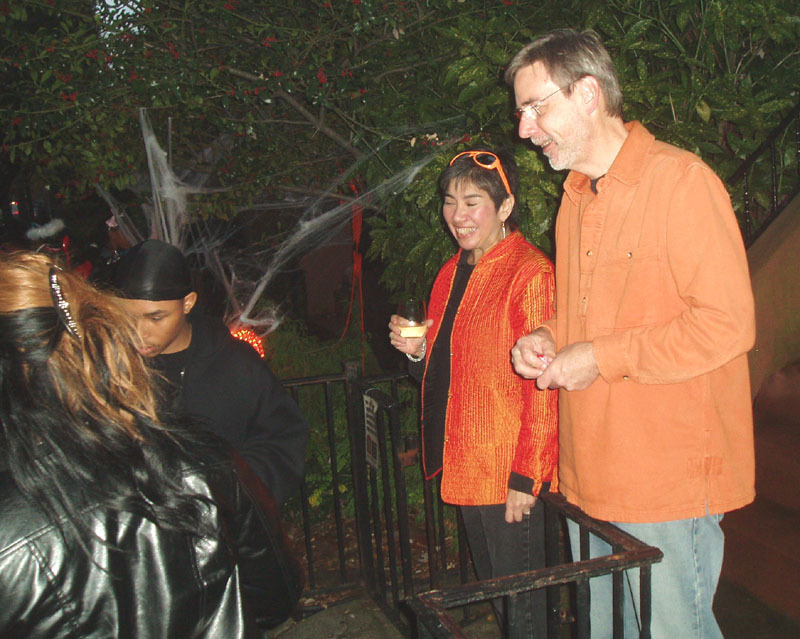 The Lefferts Manor residents graciously provide treats and entertainment for the trick or treaters who are treated and not tricked, making it a pleasant and memorable event that draws families from throughout Brooklyn to far away as Staten Island. 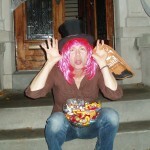 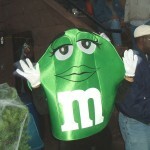 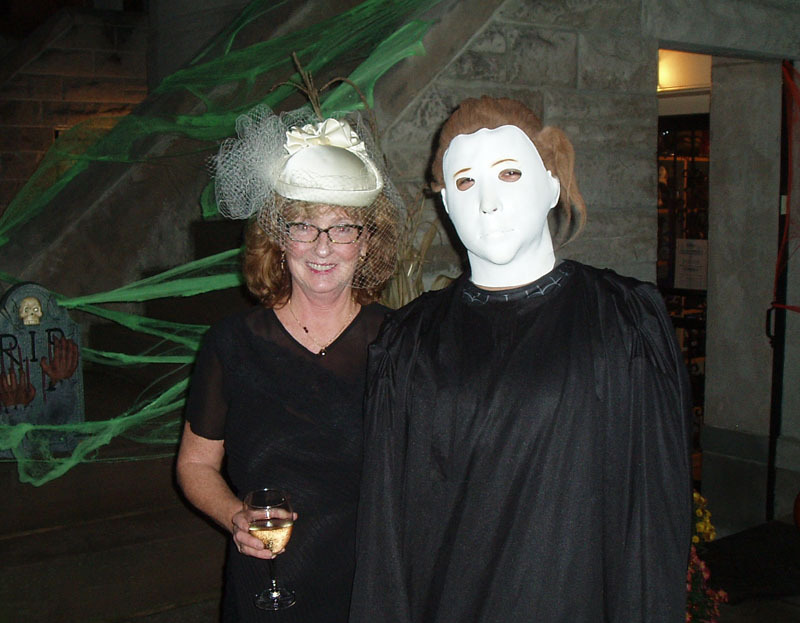 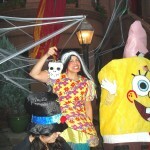 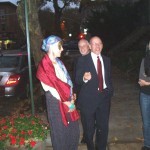 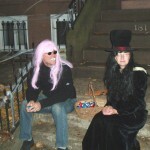 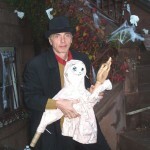 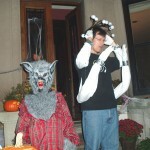 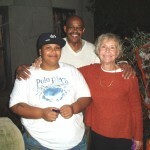 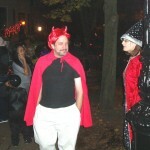 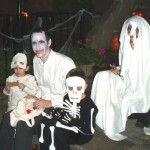 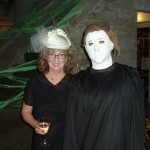 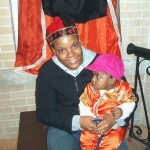 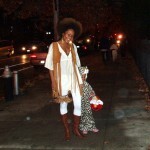 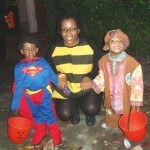 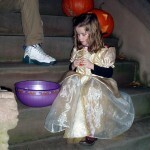 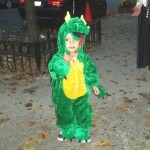 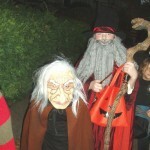 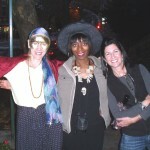 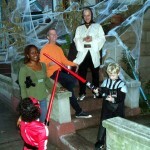 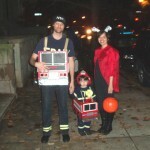 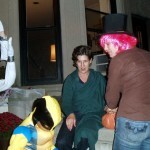 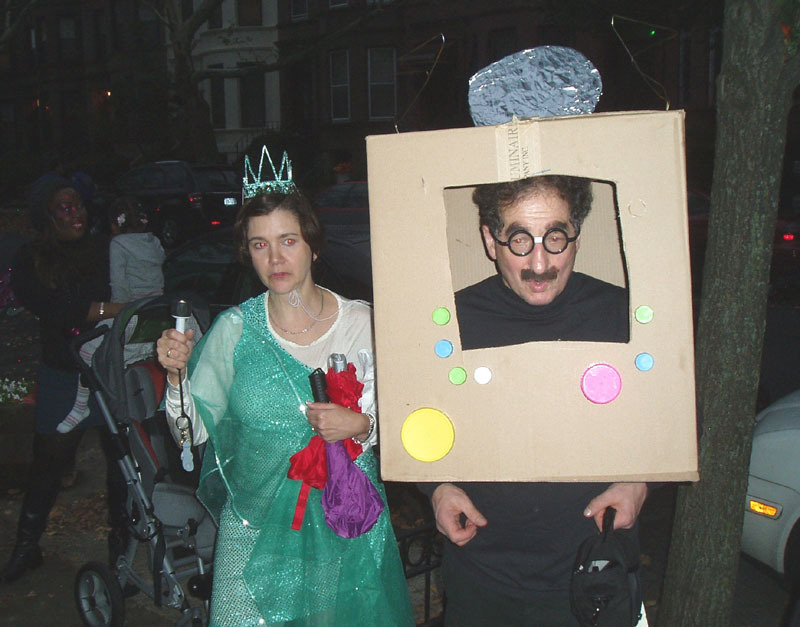 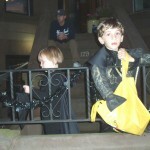 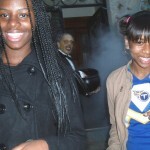 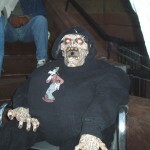 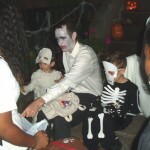 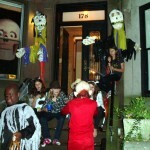 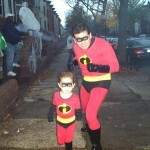 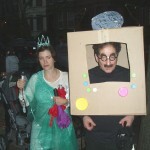 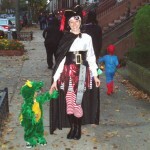 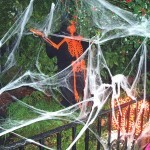 It is enjoyed by both children and adults, some are also costumed while accompanying their children. 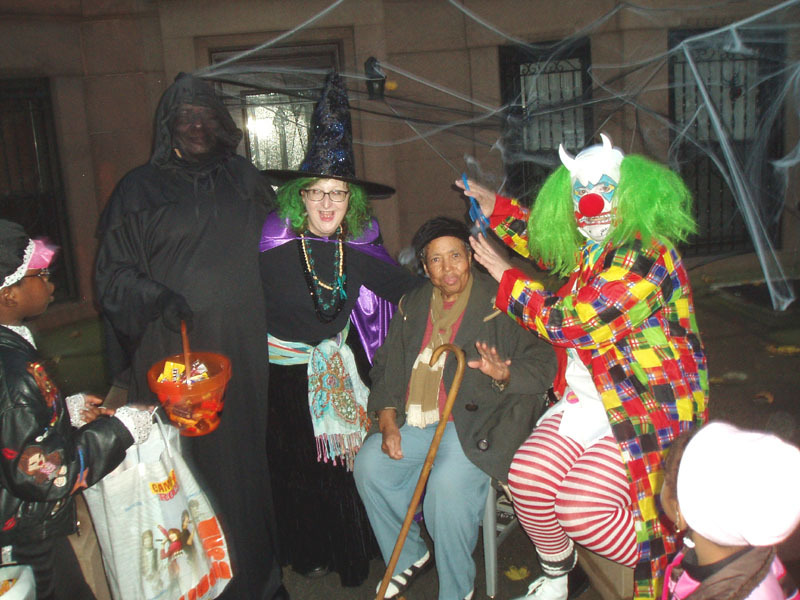 Our residents are to be commended for their preparation, the decorations, the props and the show they put on for the participants. 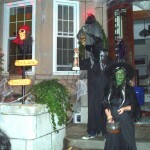 Some have already started planning for next year’s event.